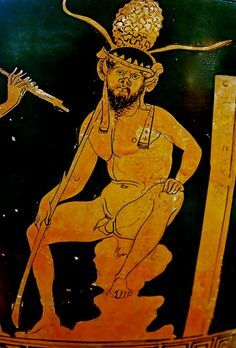 vase painti. 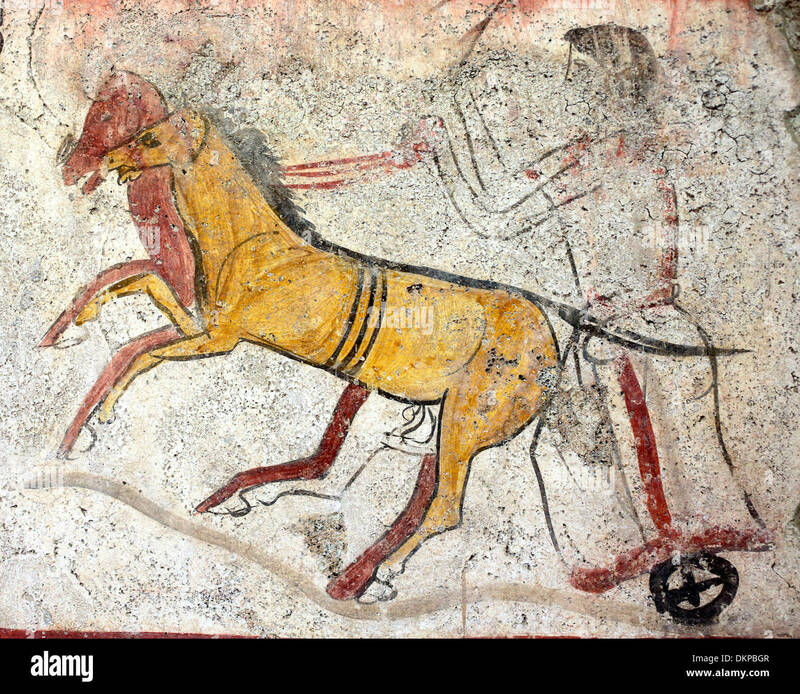 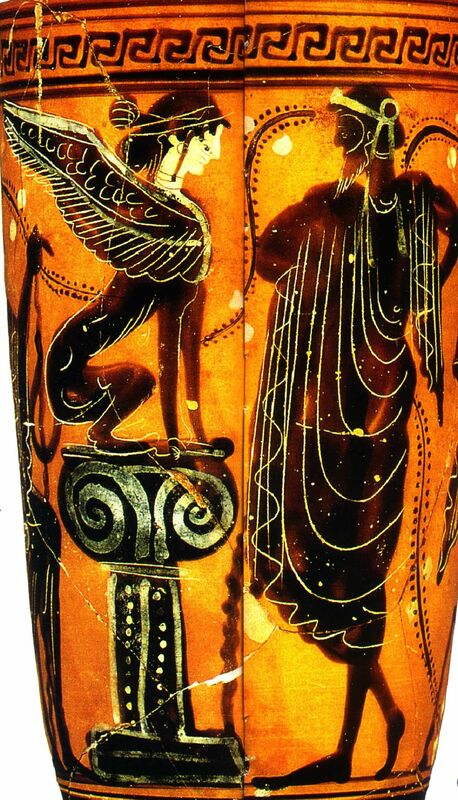 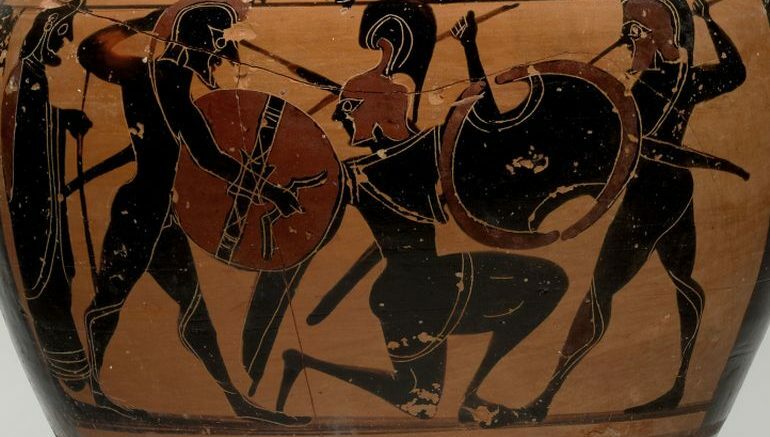 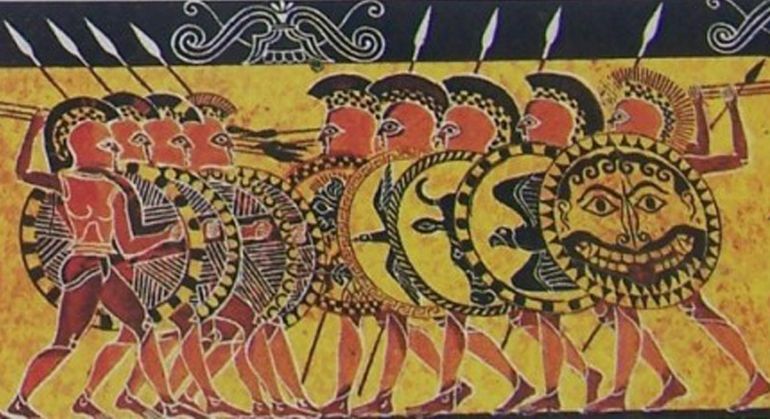 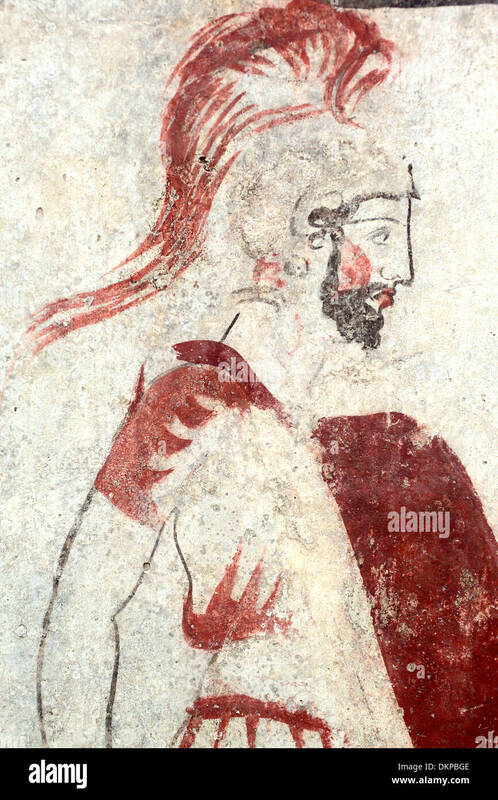 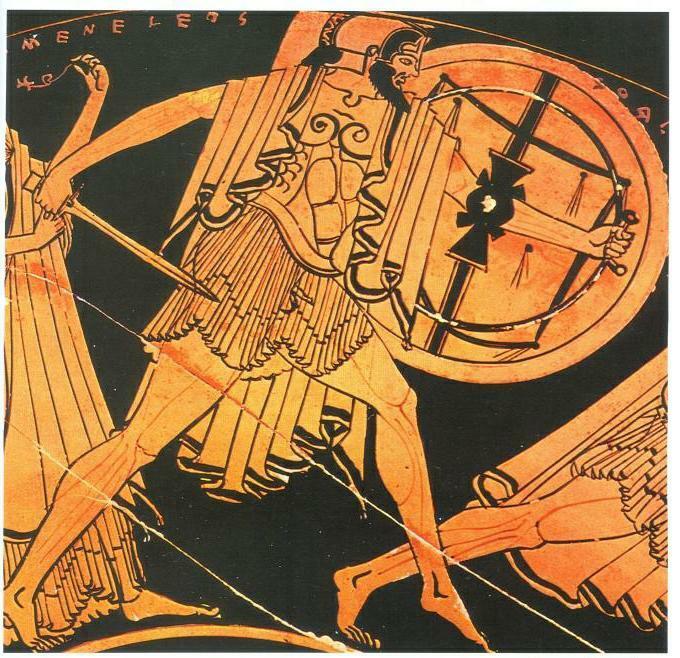 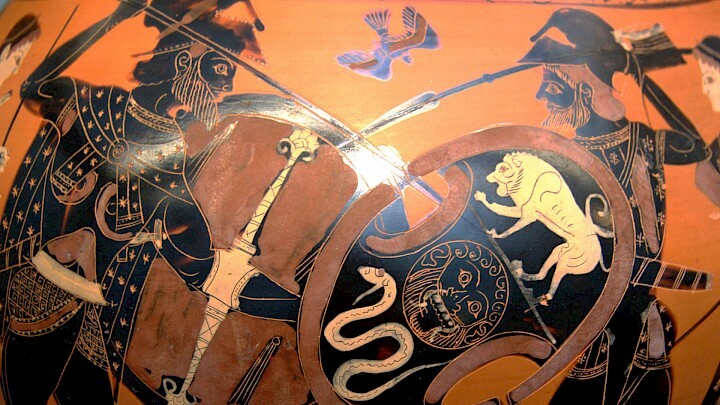 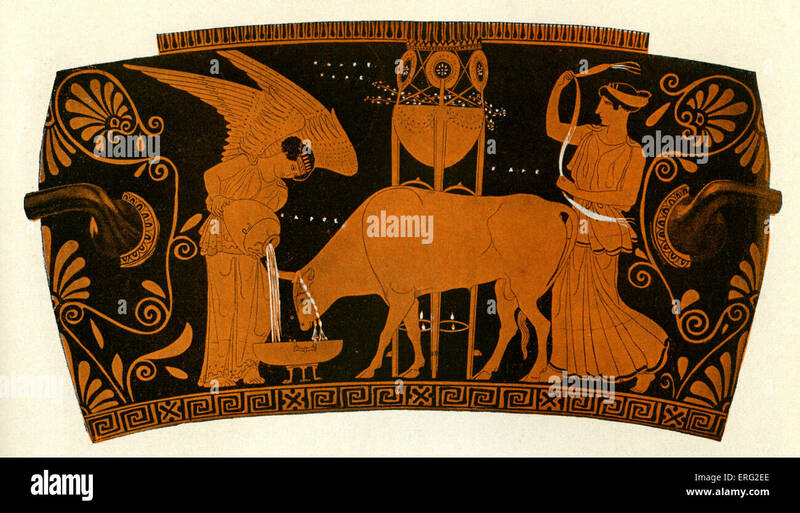 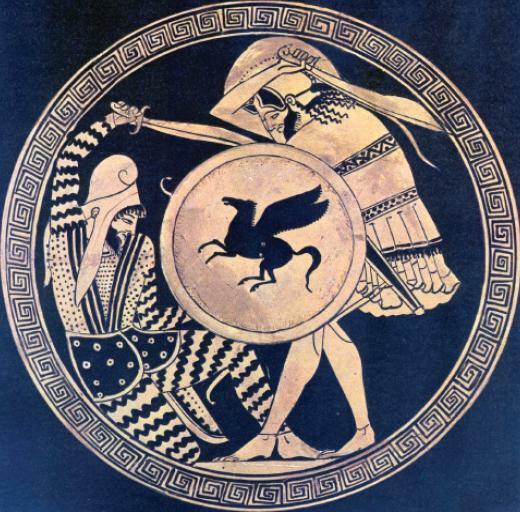 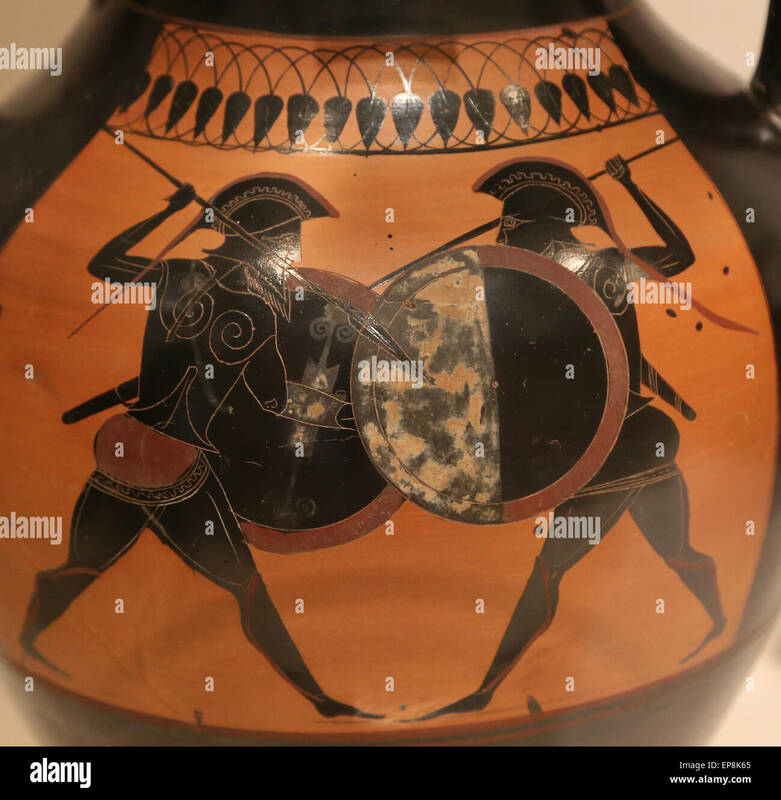 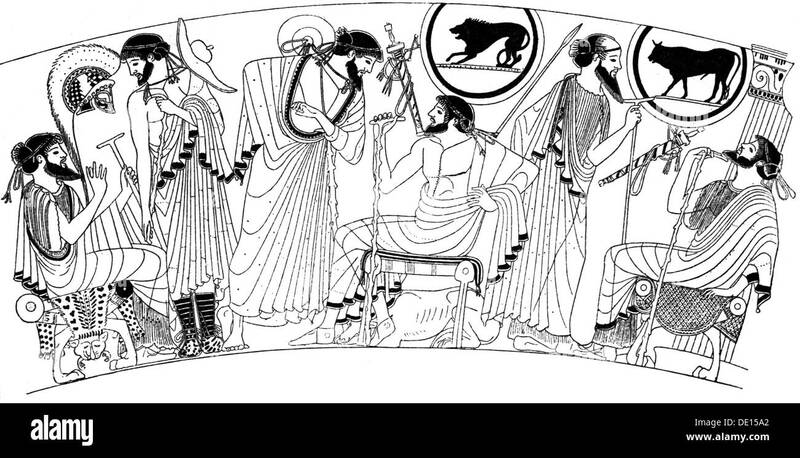 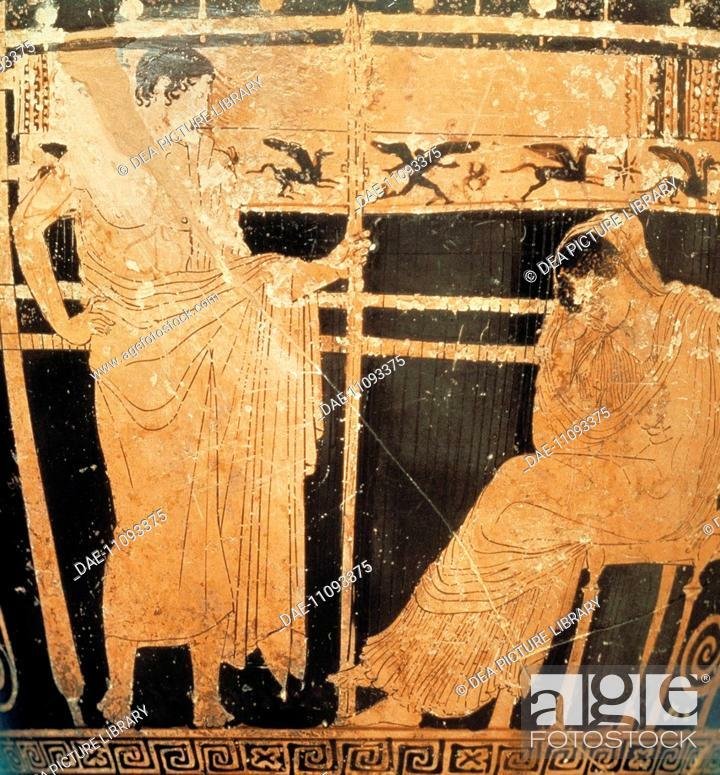 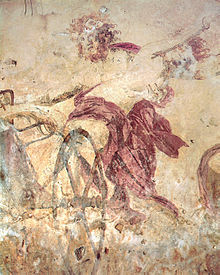 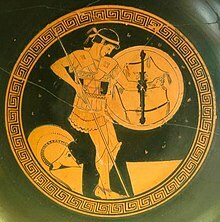 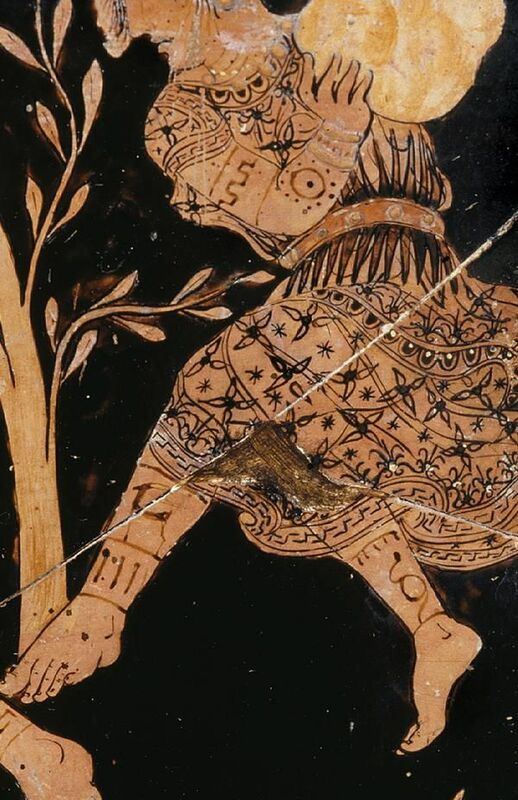 A vase painting depicting a hoplite, 5th century BC. 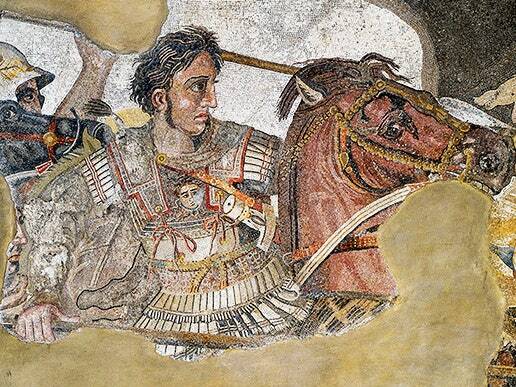 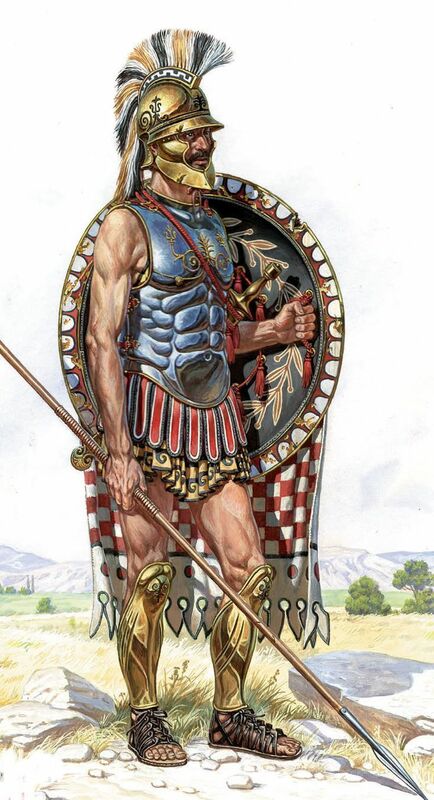 Early Roman Warrior, c. 500-300 BC. 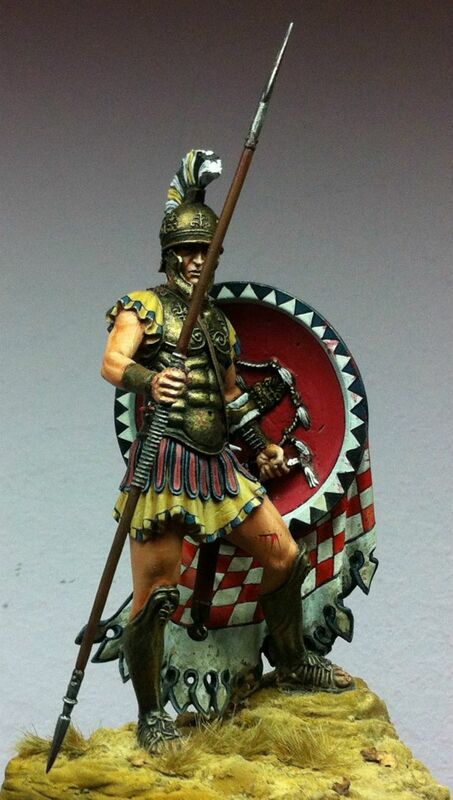 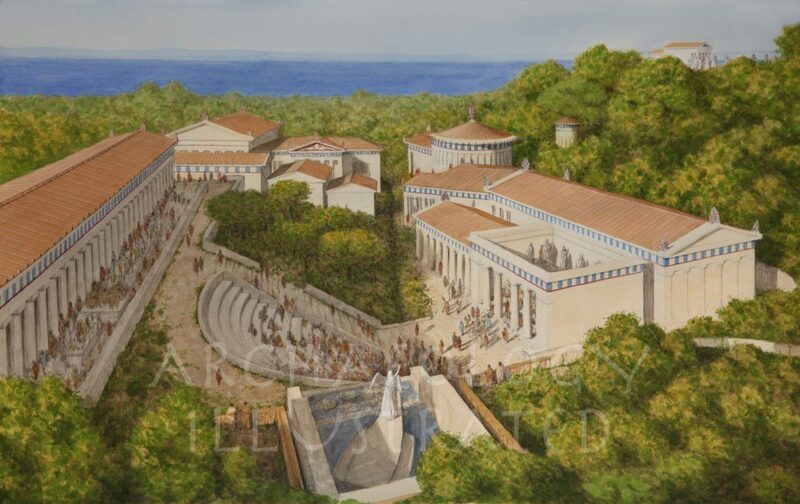 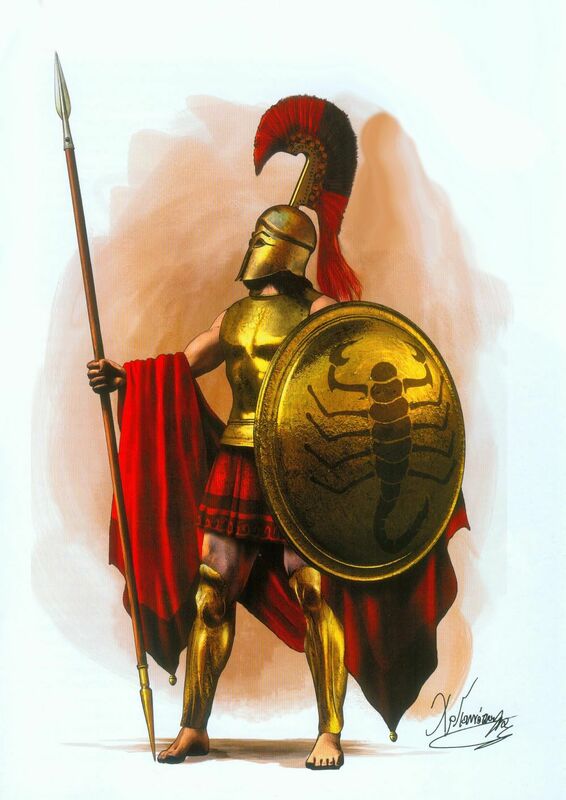 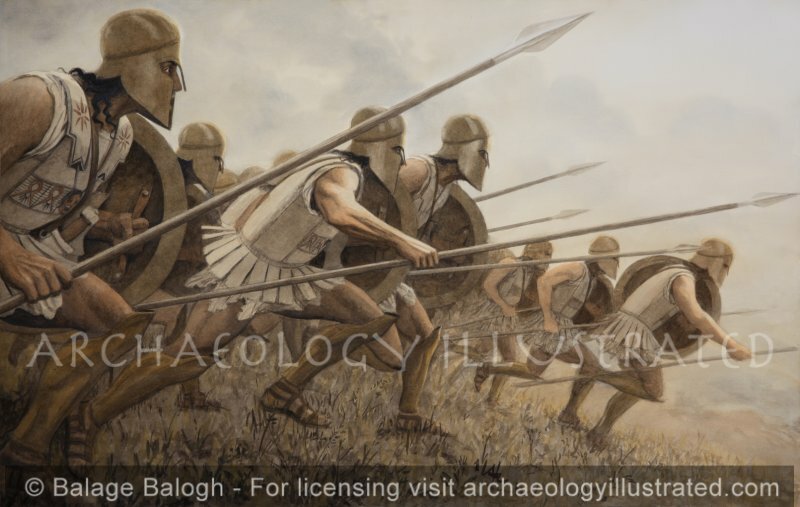 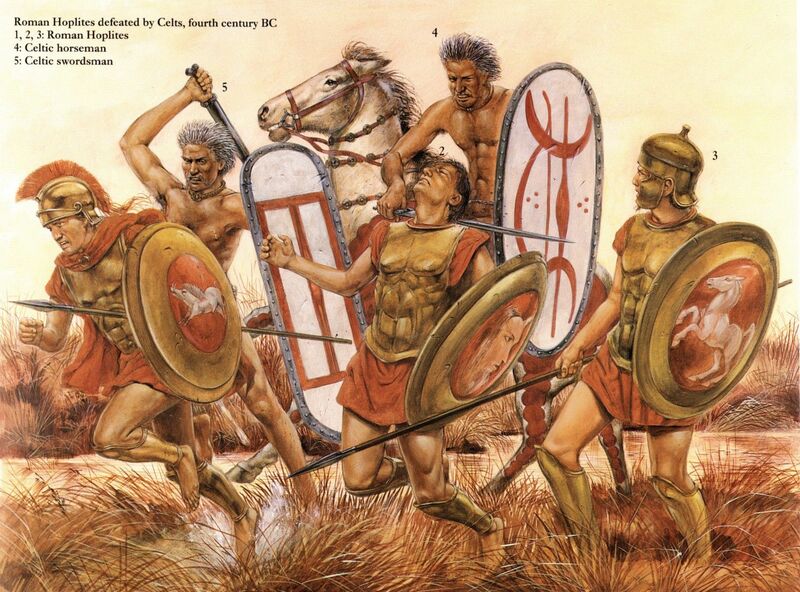 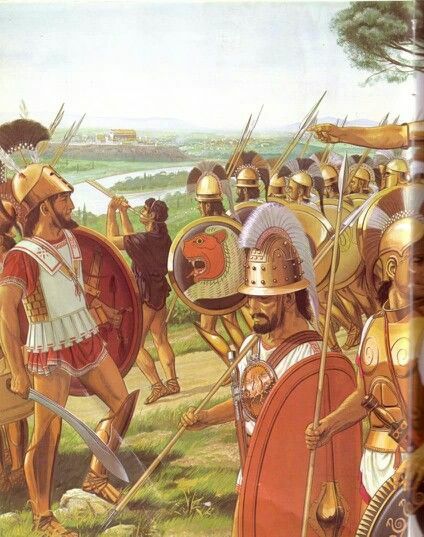 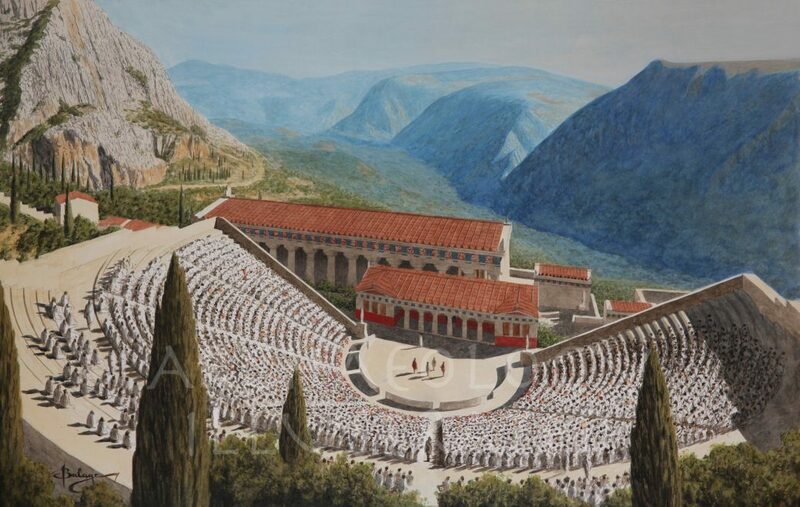 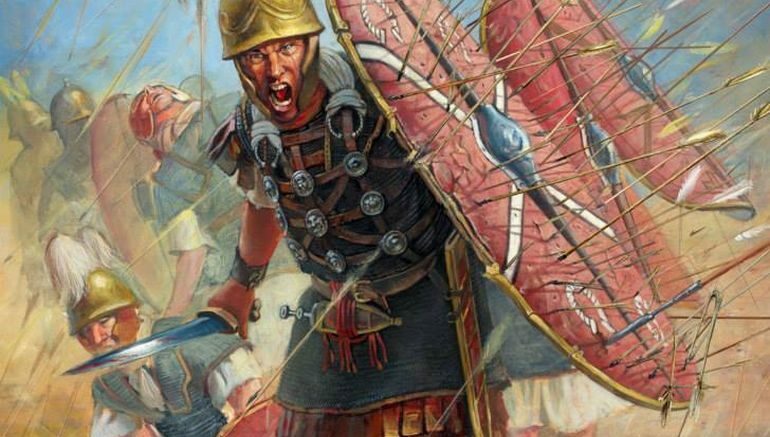 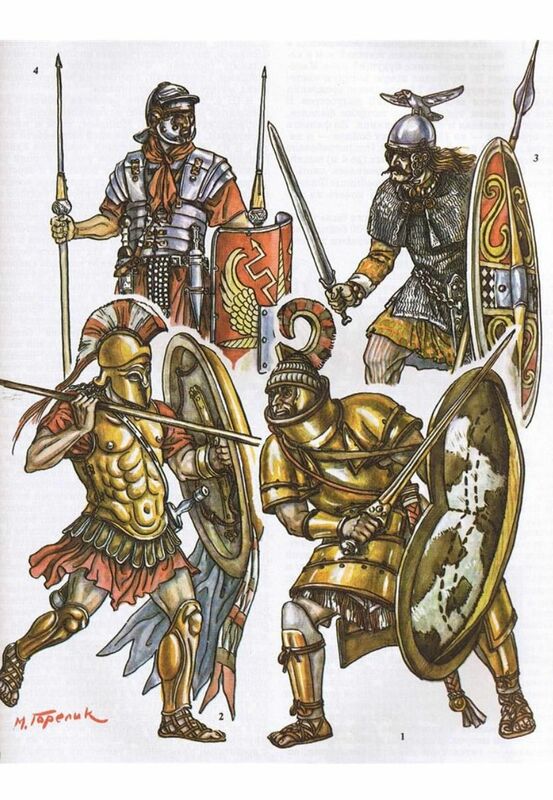 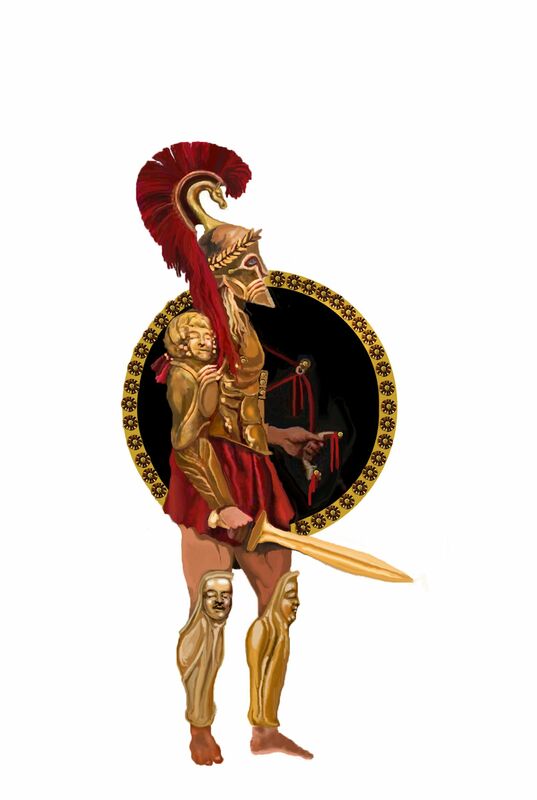 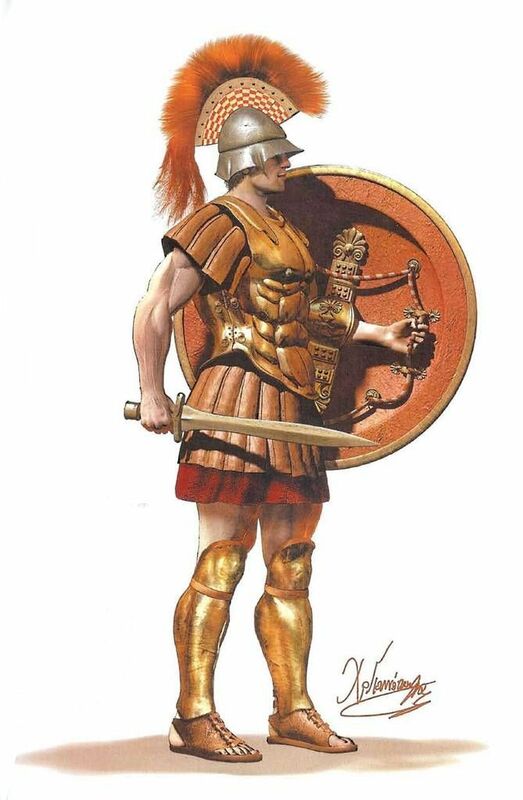 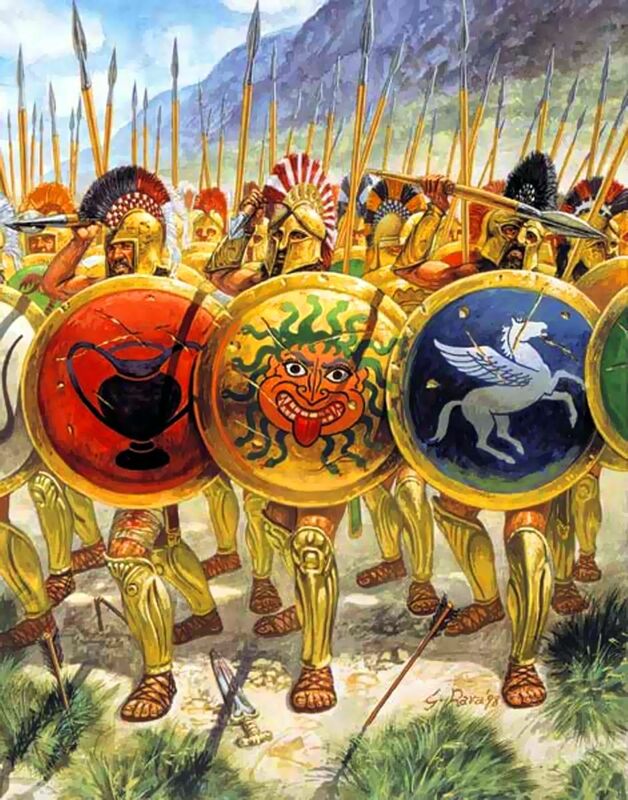 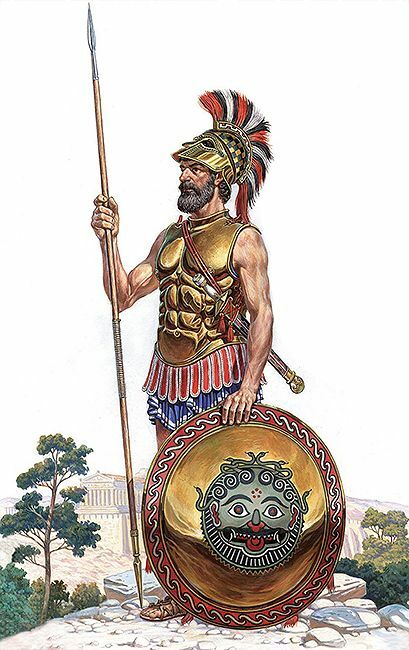 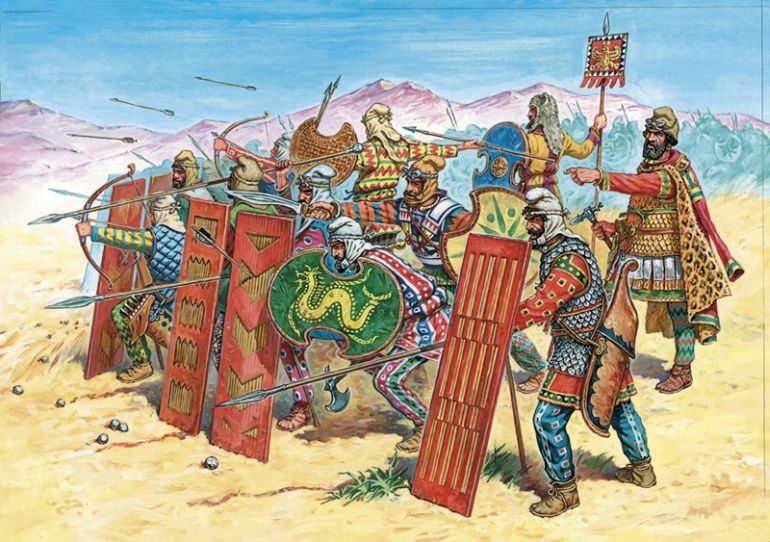 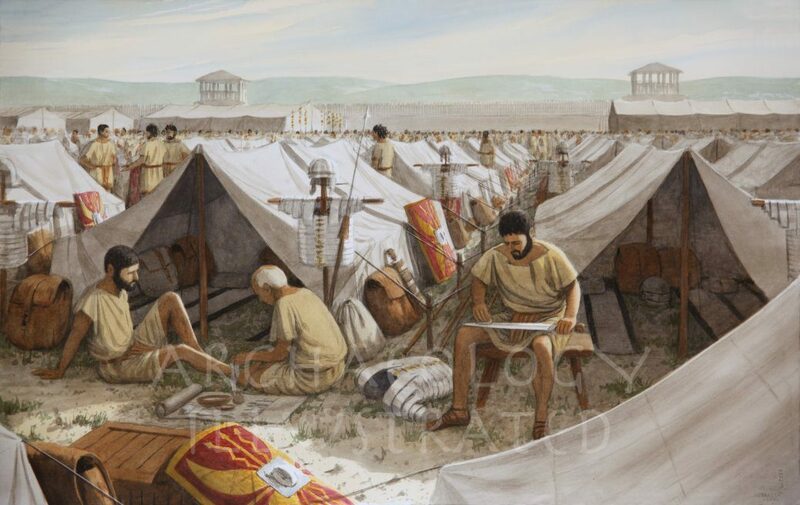 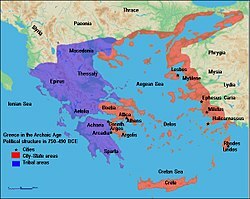 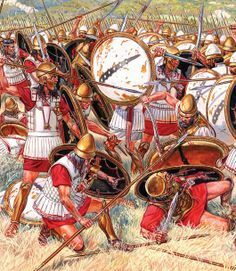 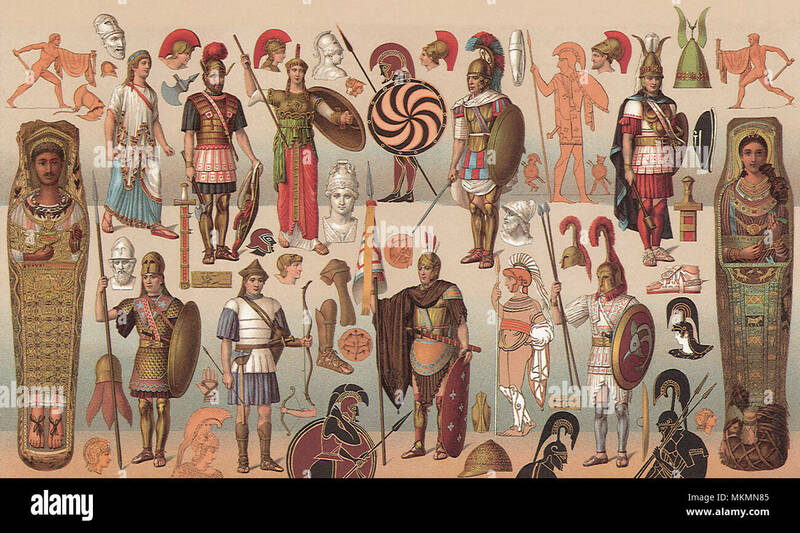 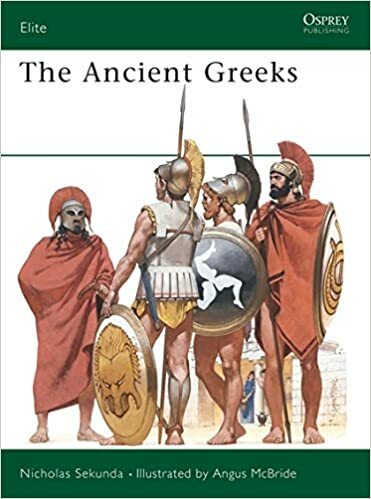 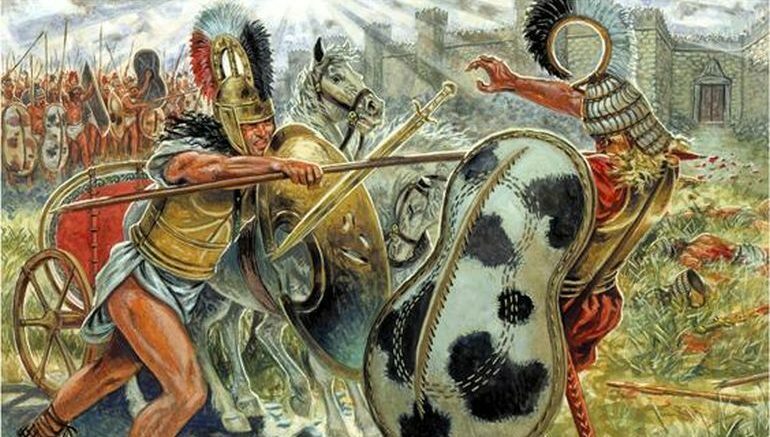 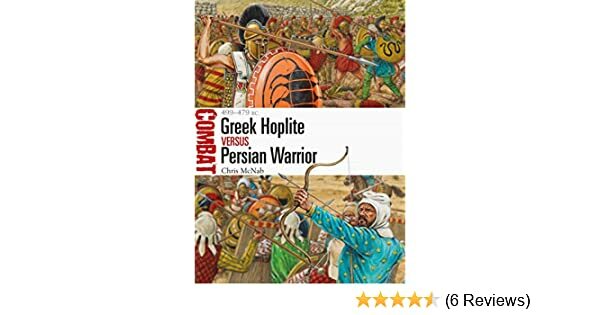 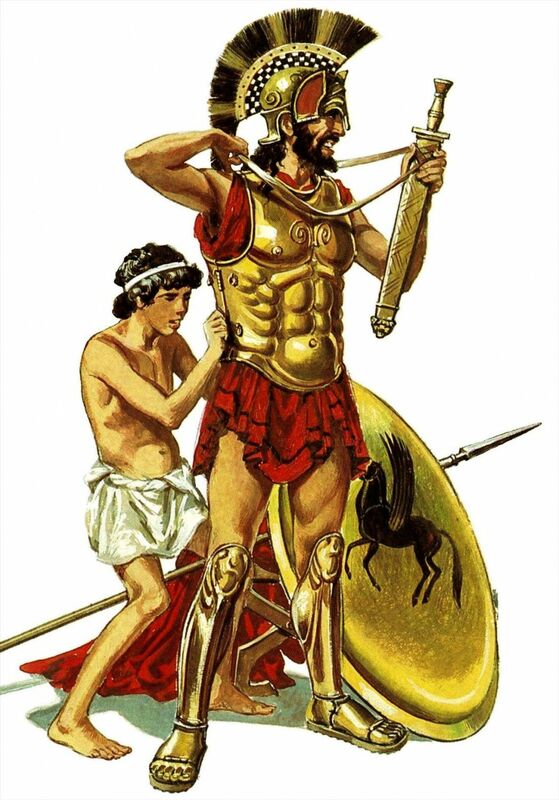 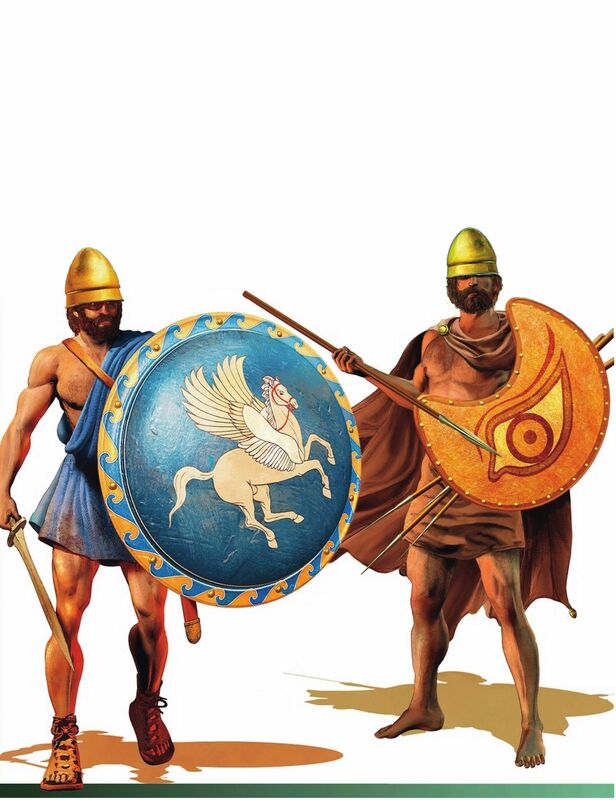 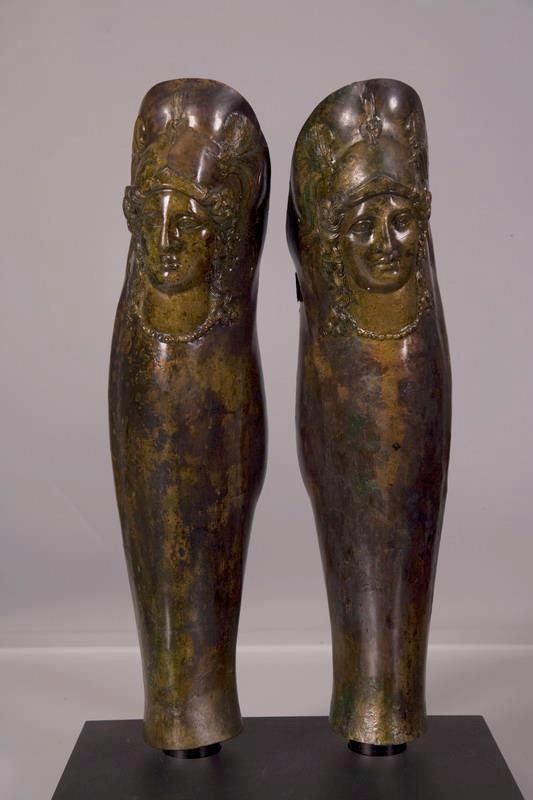 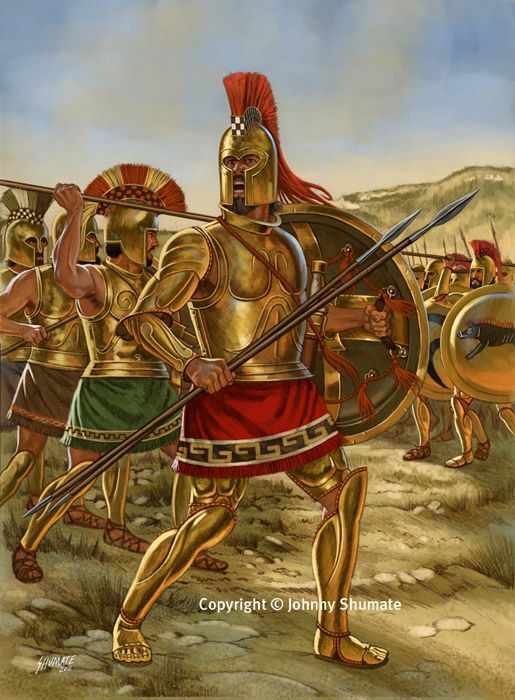 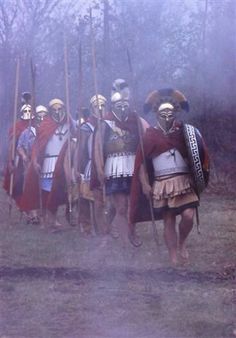 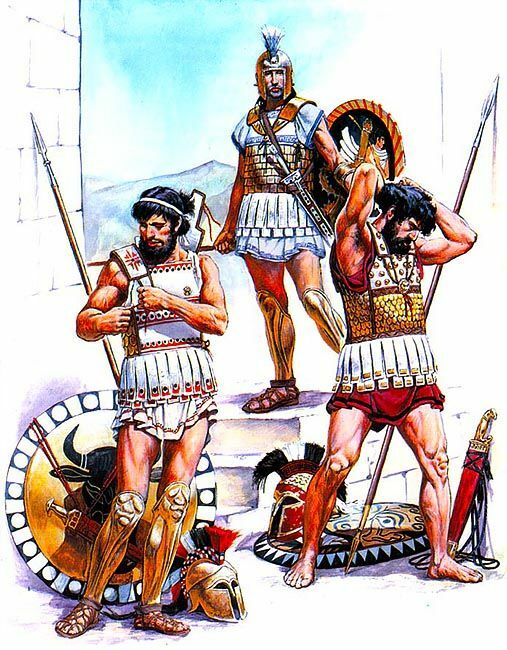 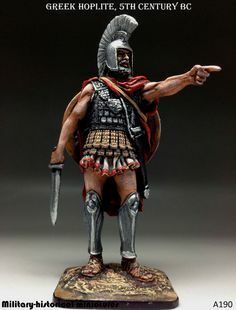 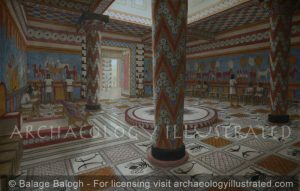 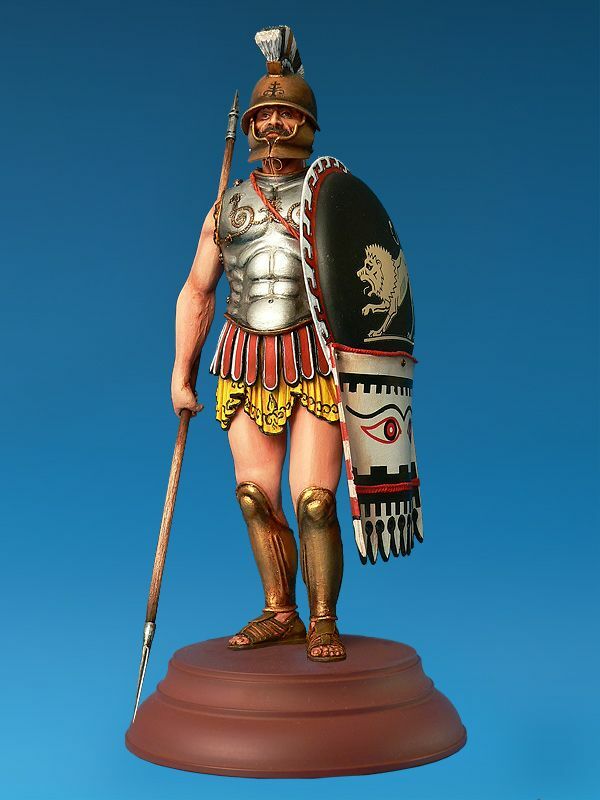 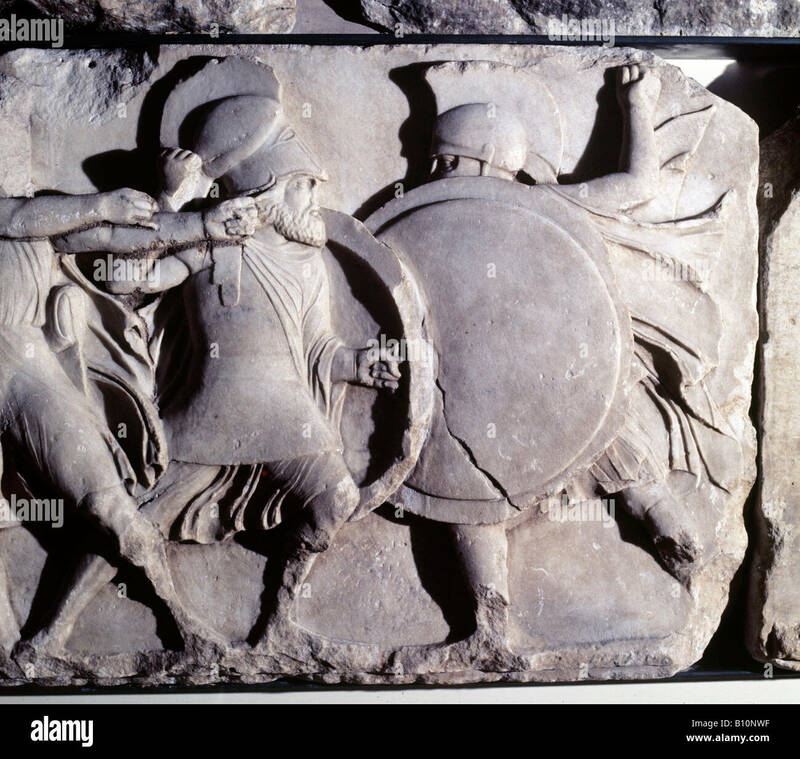 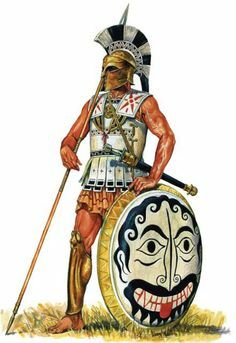 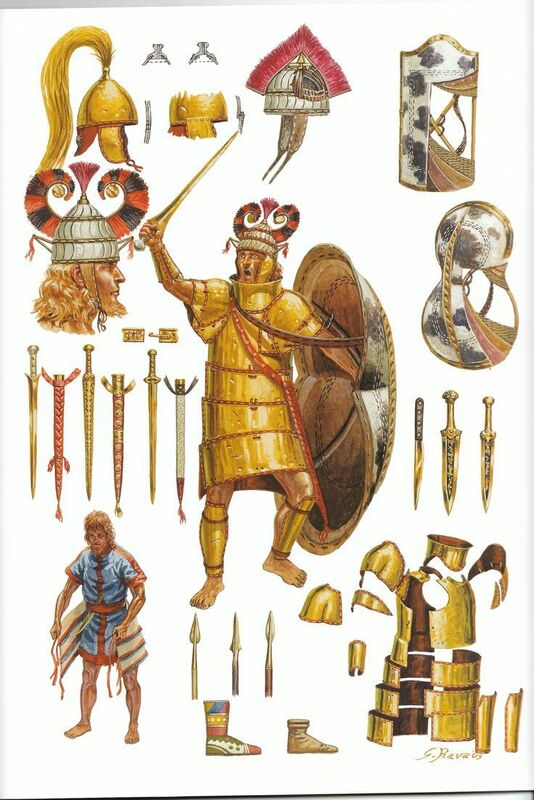 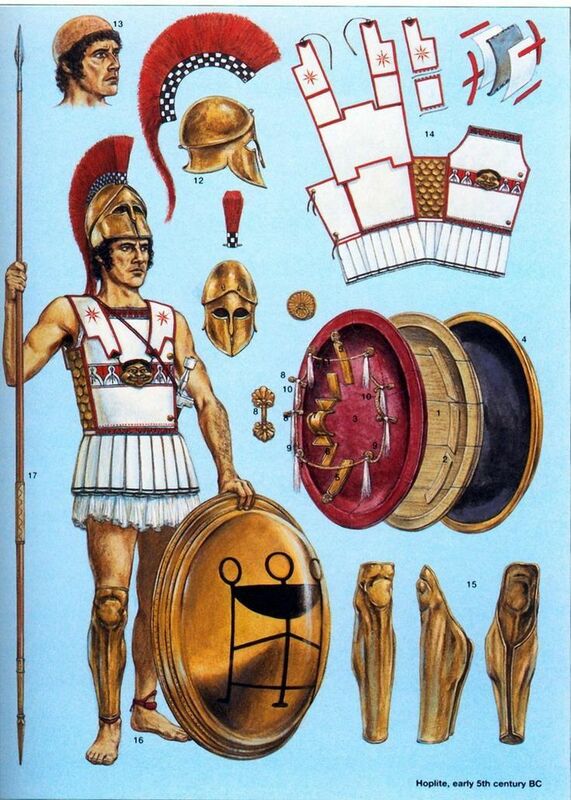 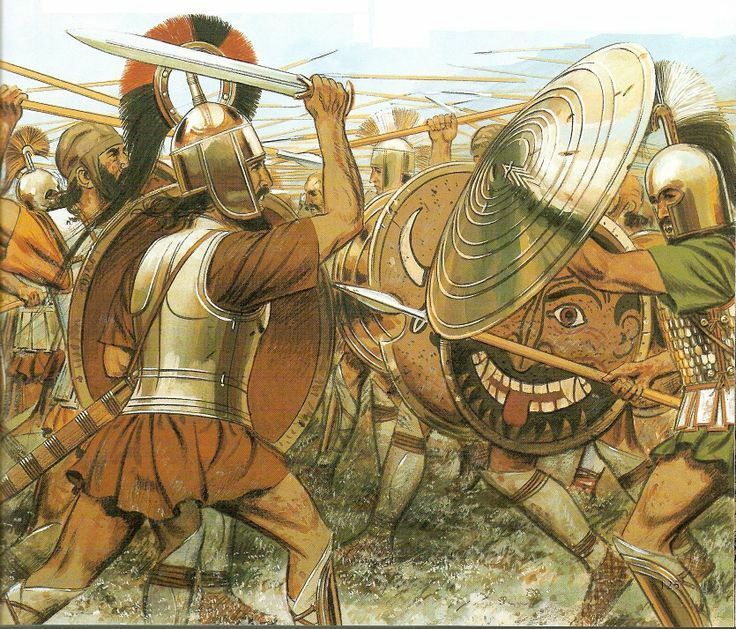 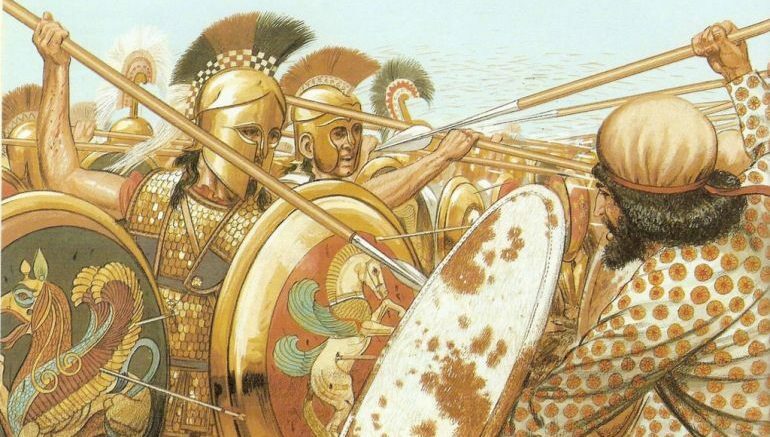 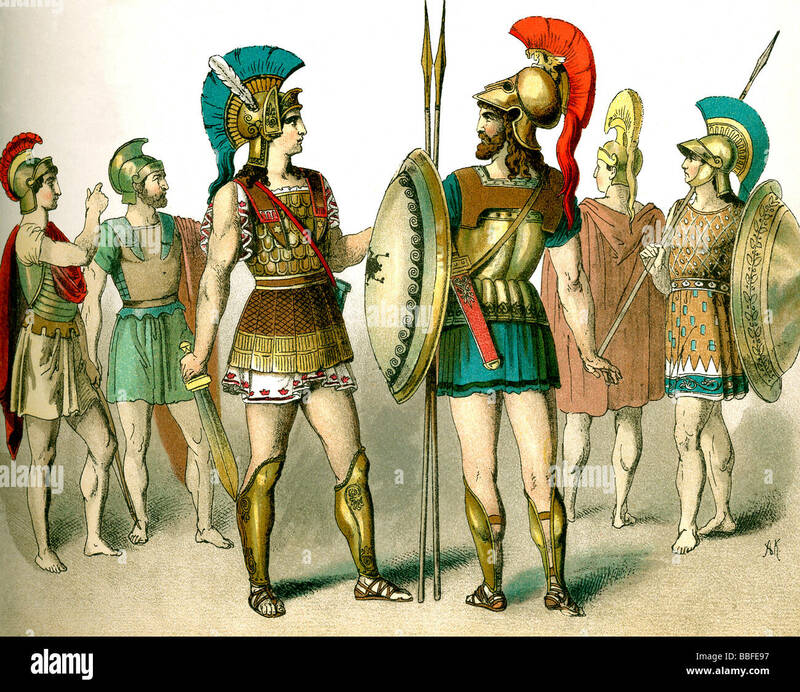 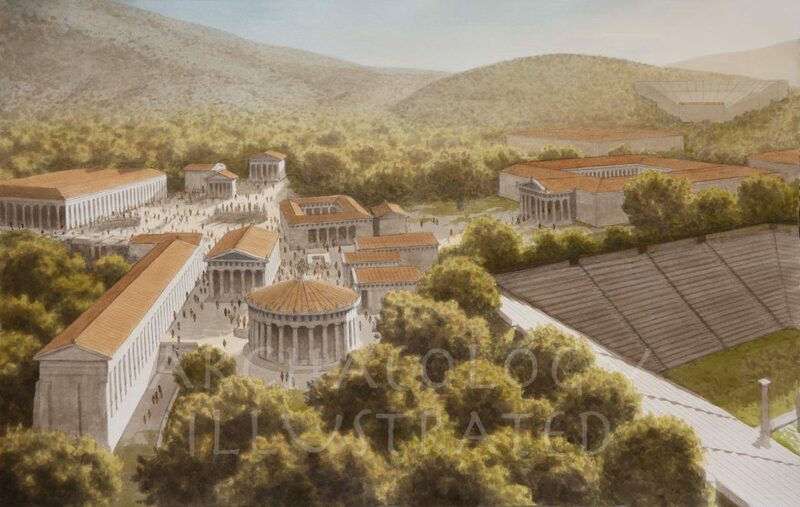 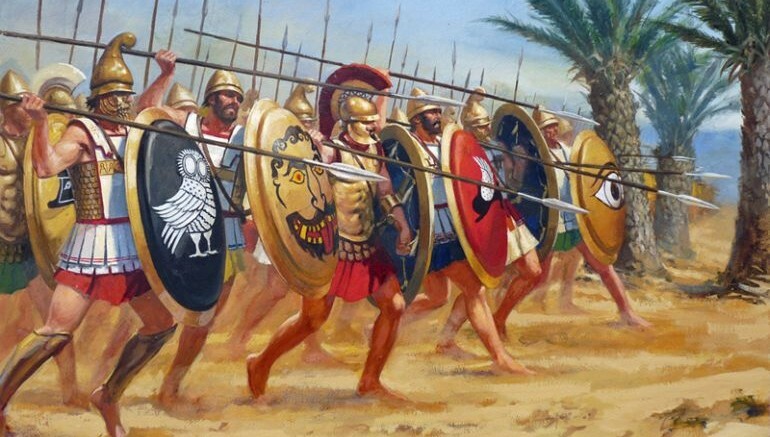 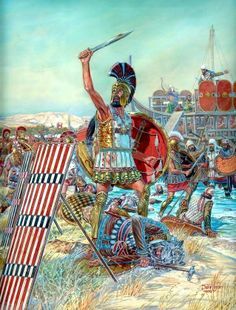 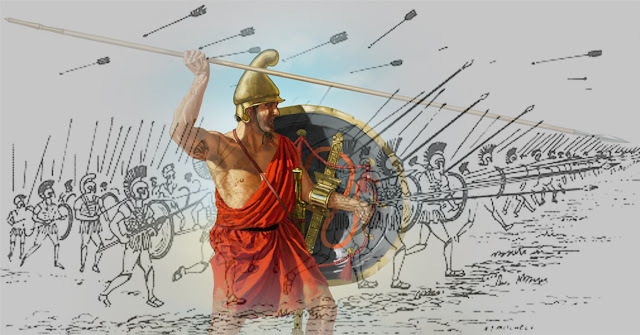 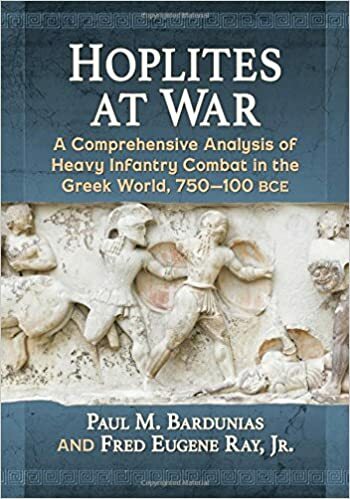 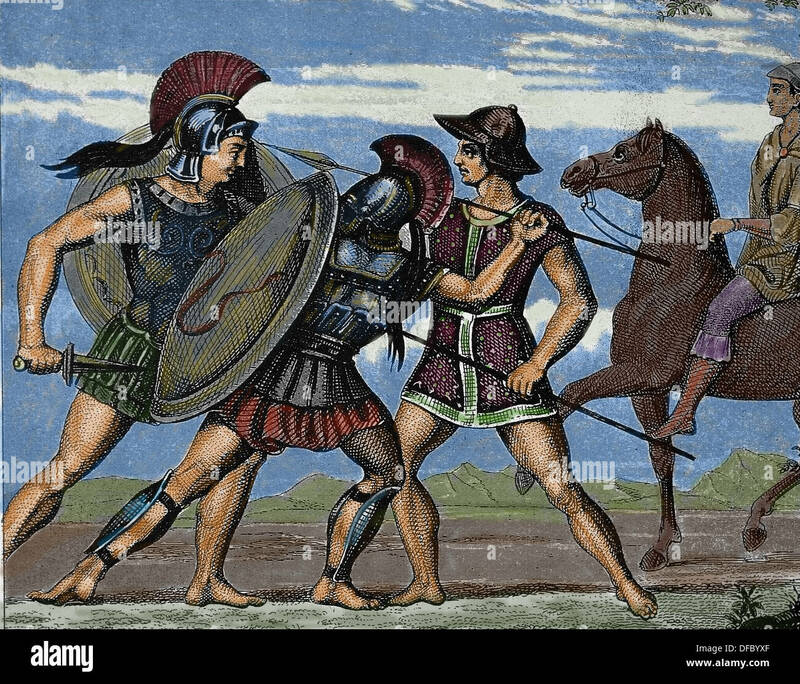 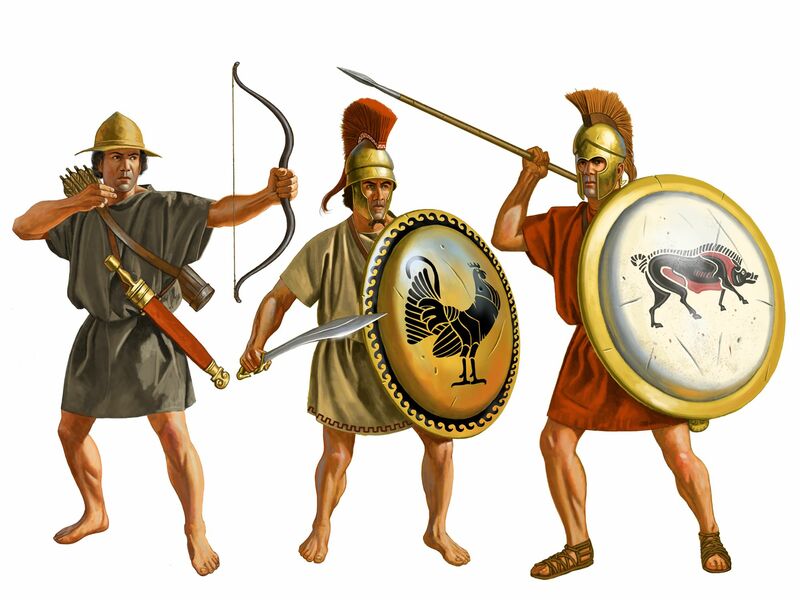 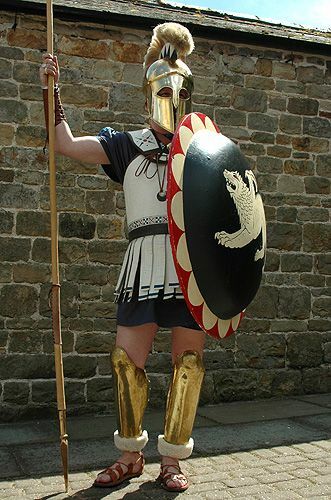 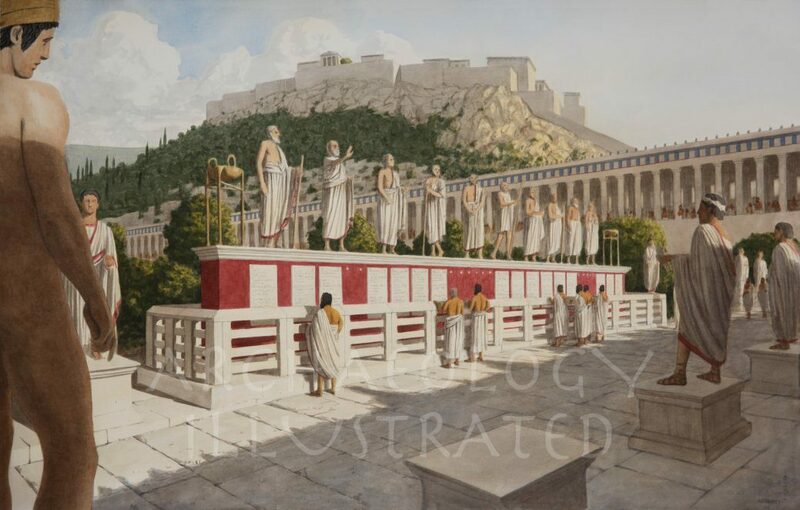 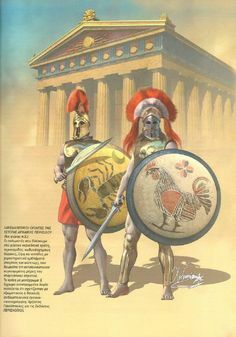 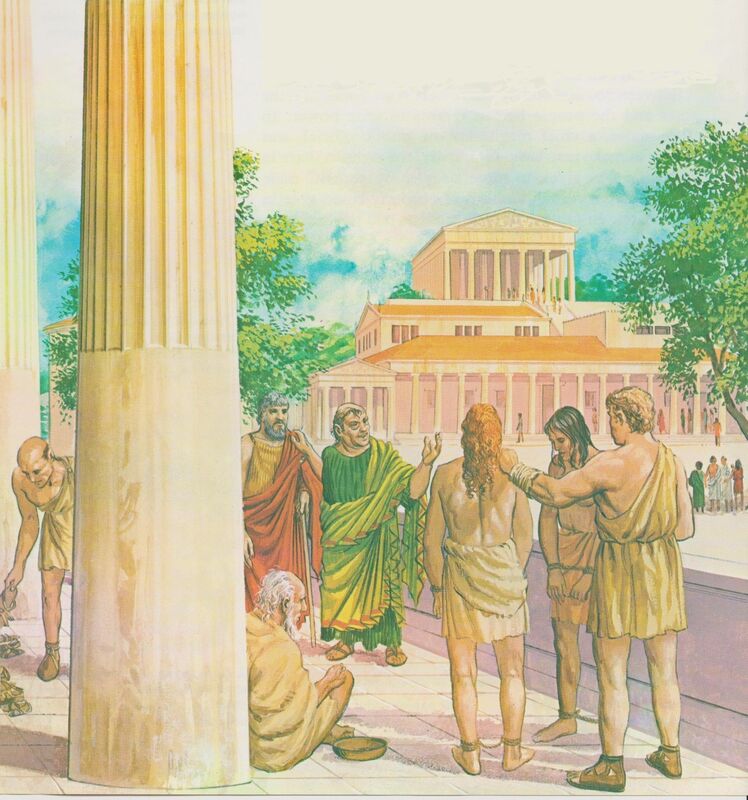 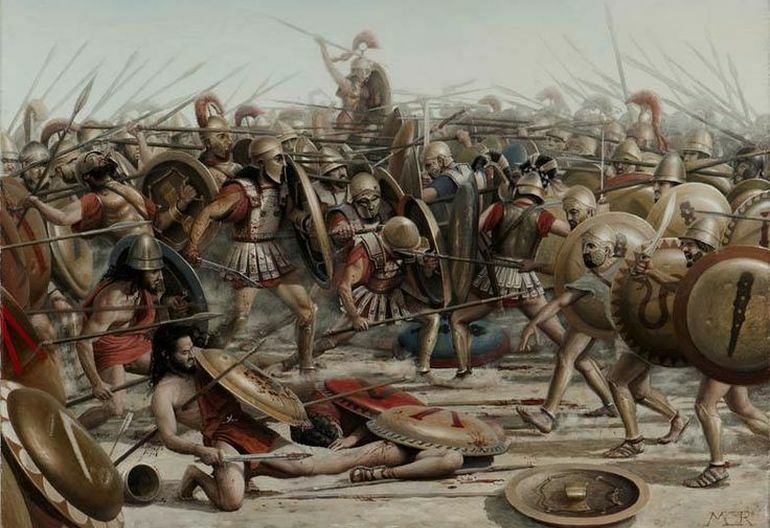 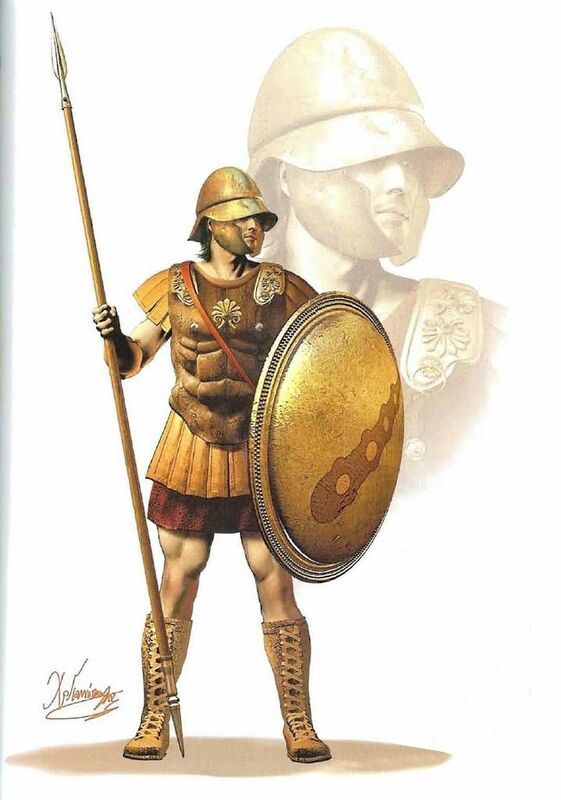 Third Class Soldiers in Servius Tullius's Army would have owned a Greek Hoplite style panoply. 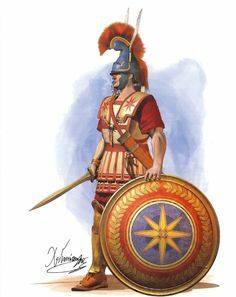 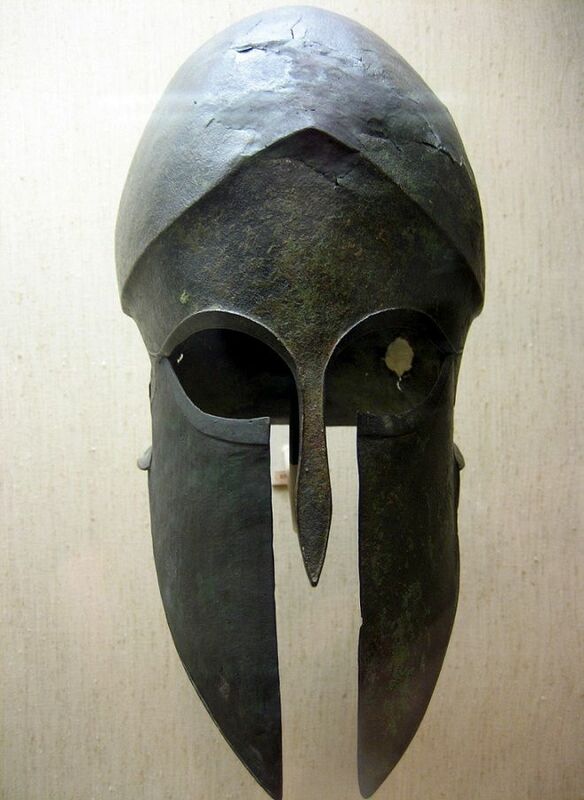 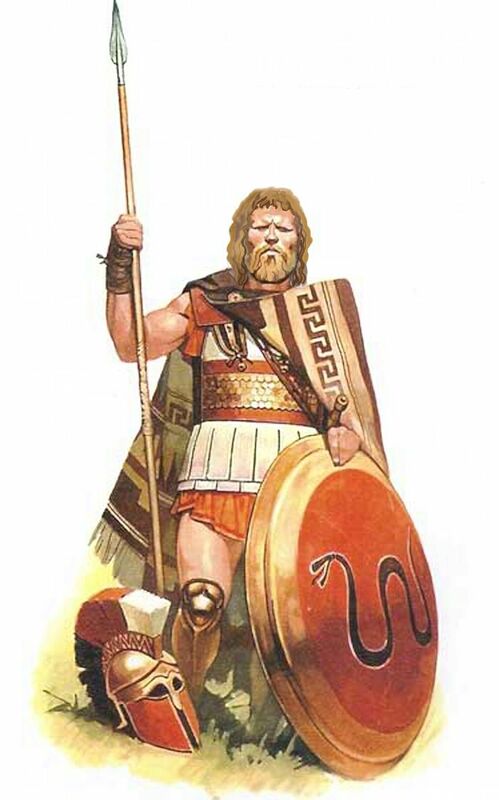 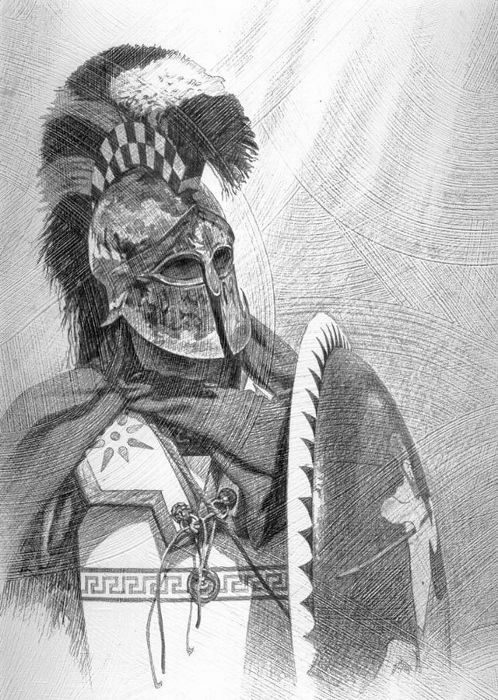 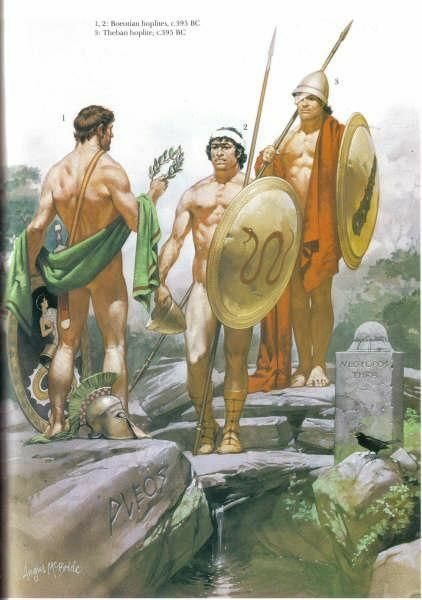 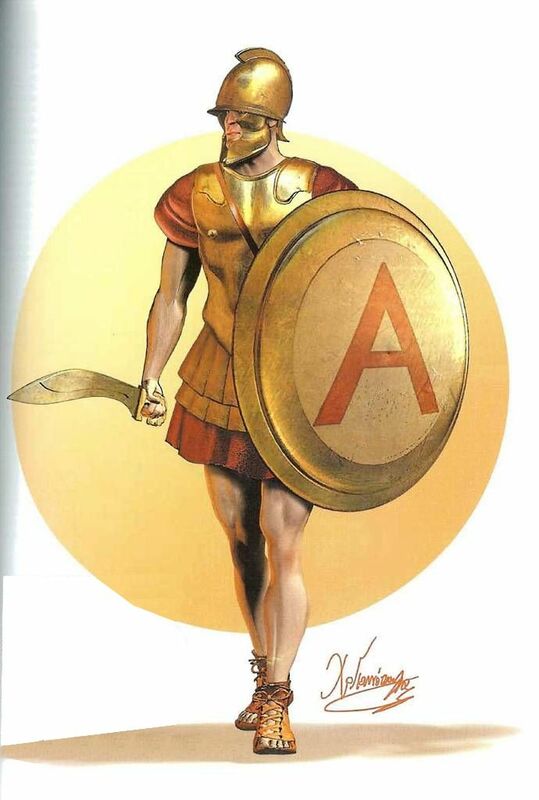 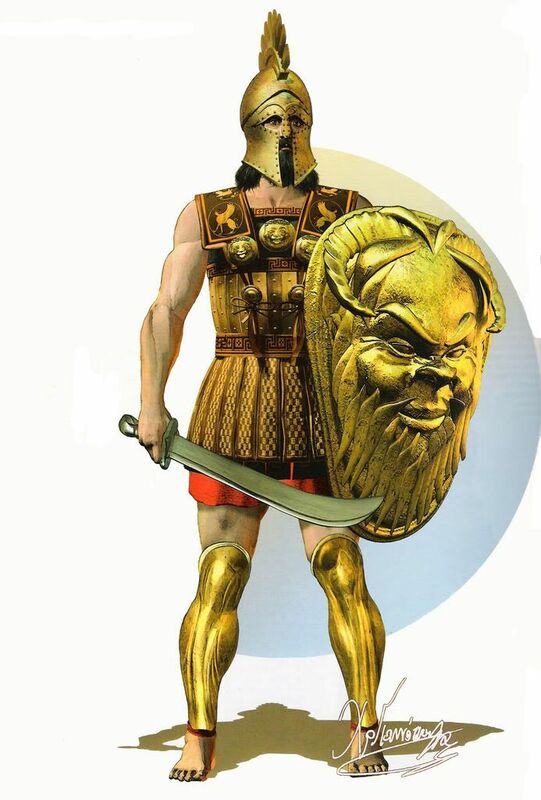 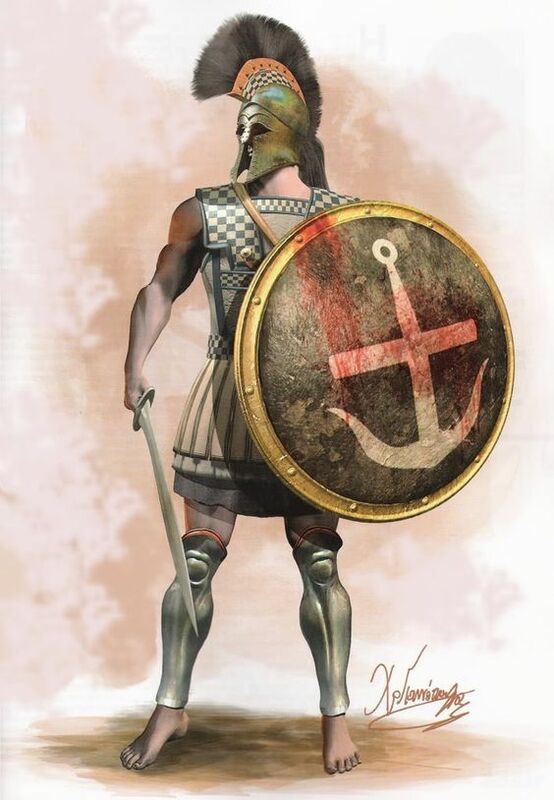 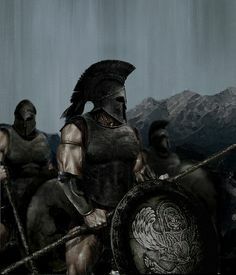 "Athenian Hoplite, V century BC", Igor Dzis. " 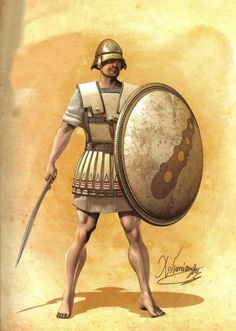 Lakedaimonian Hoplite, 5th Century BCE. 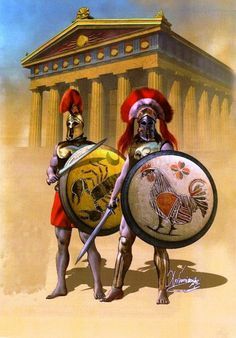 By Steven Noon. 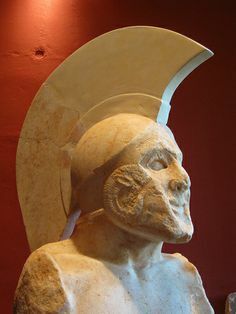 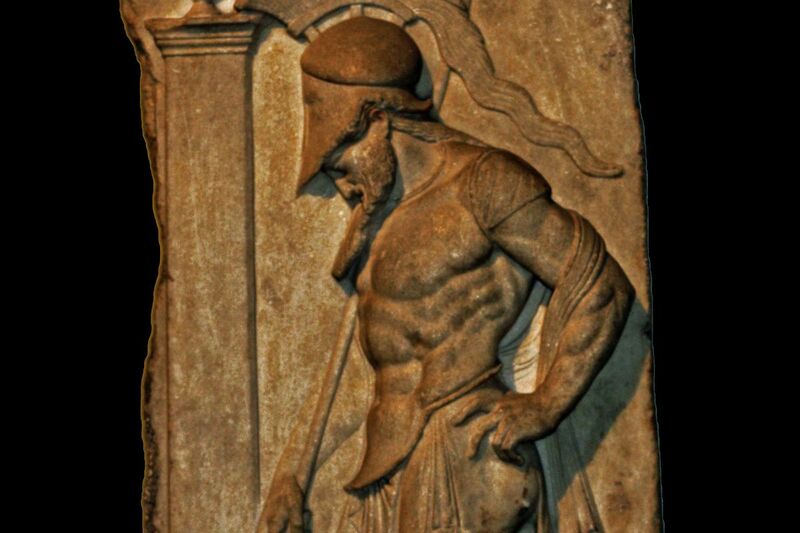 A 5th century BCE marble figure of a Spartan hoplite, perhaps of Leonidas in memory of his sacrifice at the Battle of Thermopylae in 480 BCE. 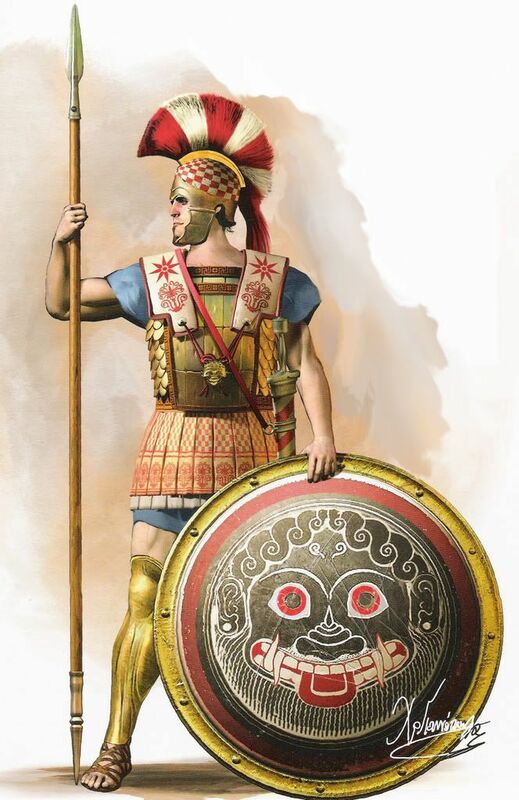 BC Celt/Gaul, 5th c. BC Greek hoplite, 1200 BC Mycenaean Greek noble warrior in 'Dendra' style armour. 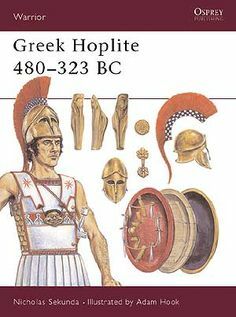 Hoplite warrior with Lino-thorax armour and a Thracian blanket. 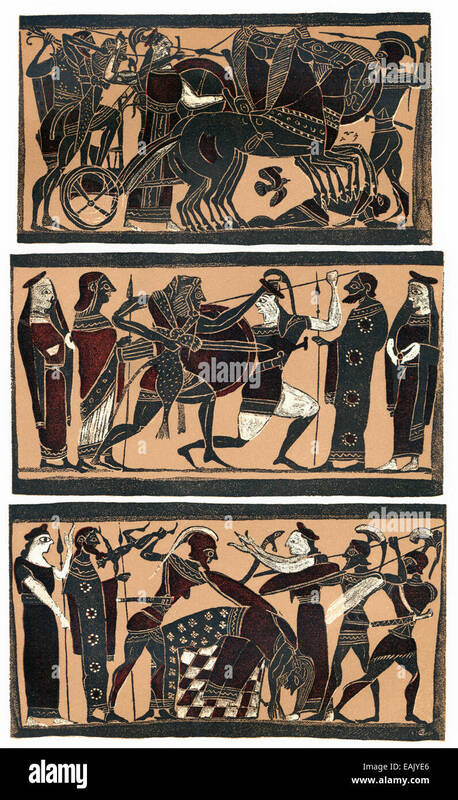 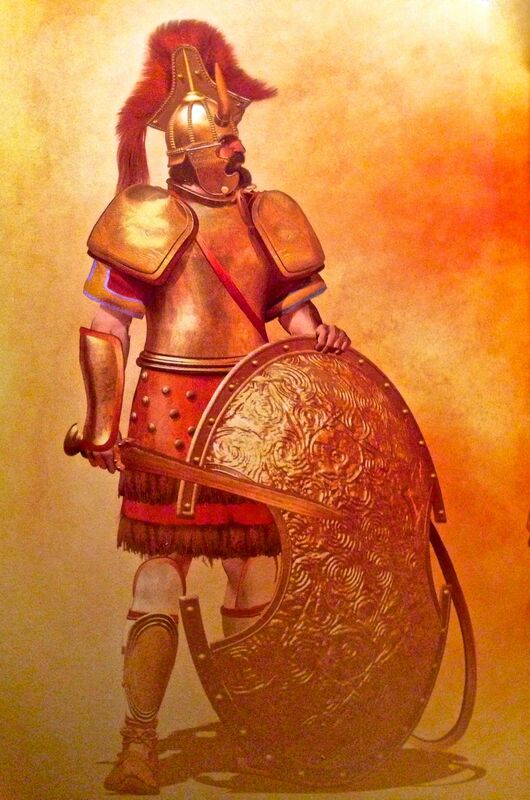 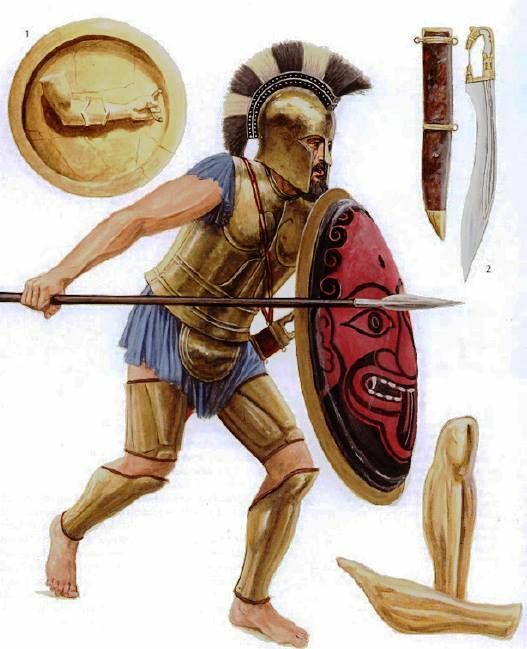 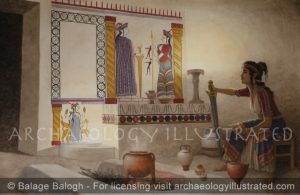 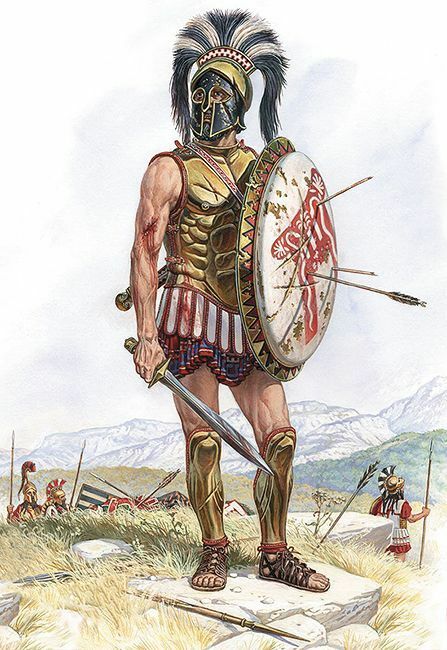 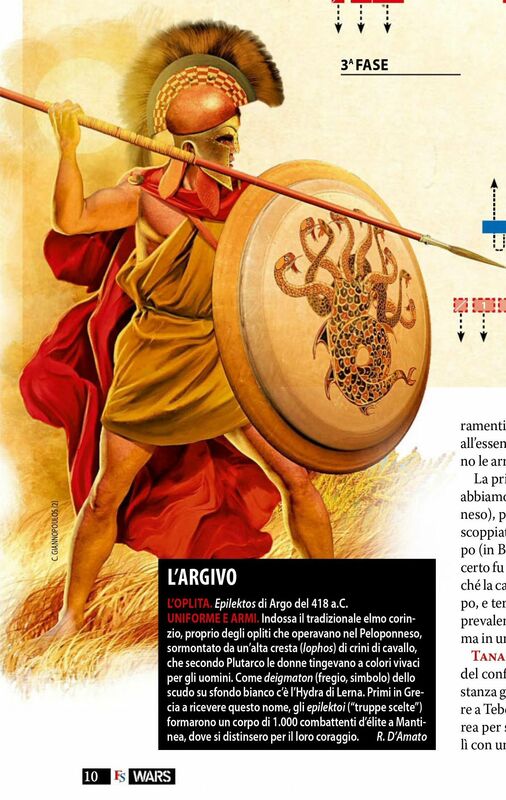 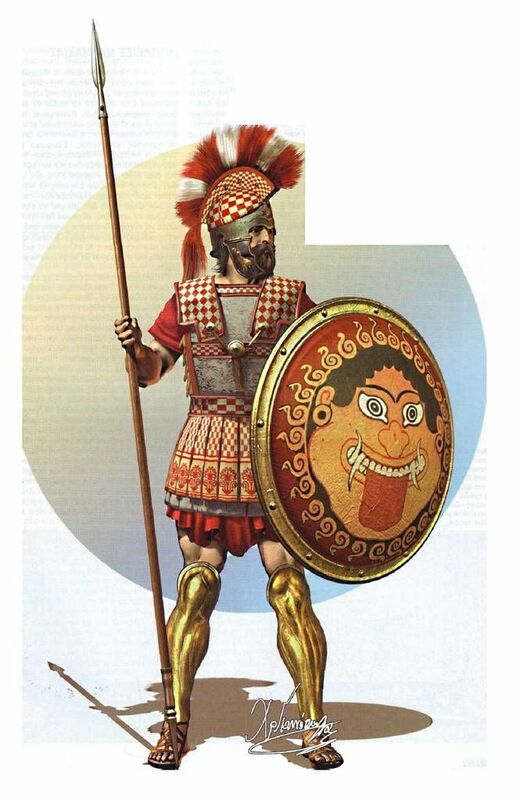 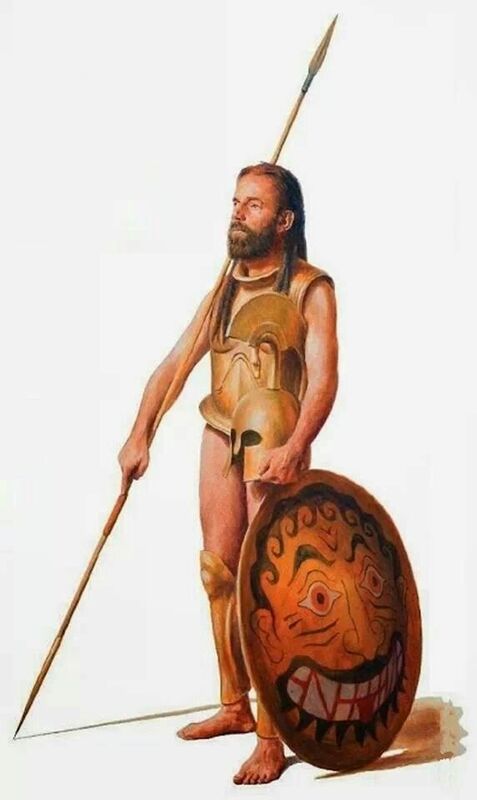 Giuseppe Rava's illustration of a late Bronze Age Mycenaean elite/noble warrior in full 'Dendra' style armour, circa 12th c. BC? 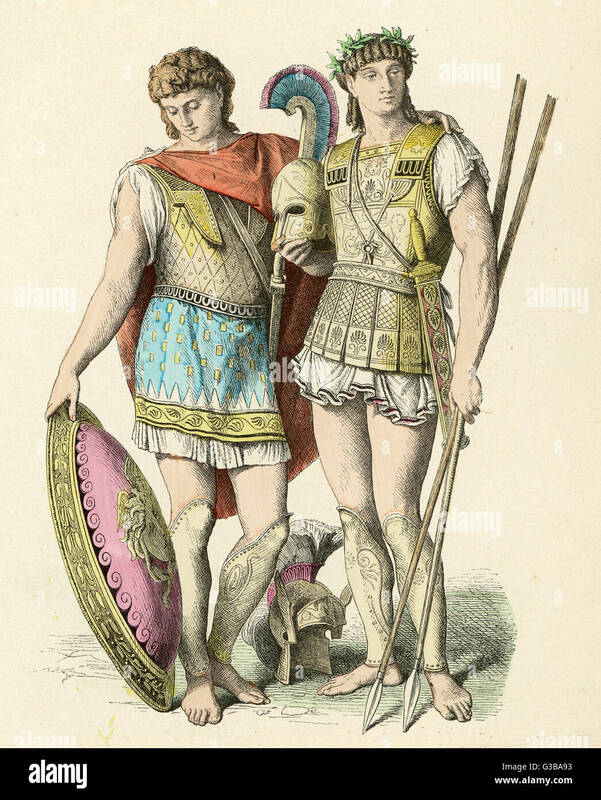 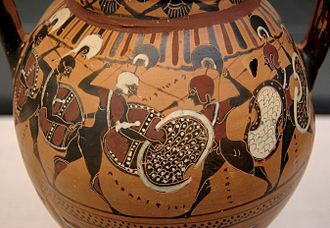 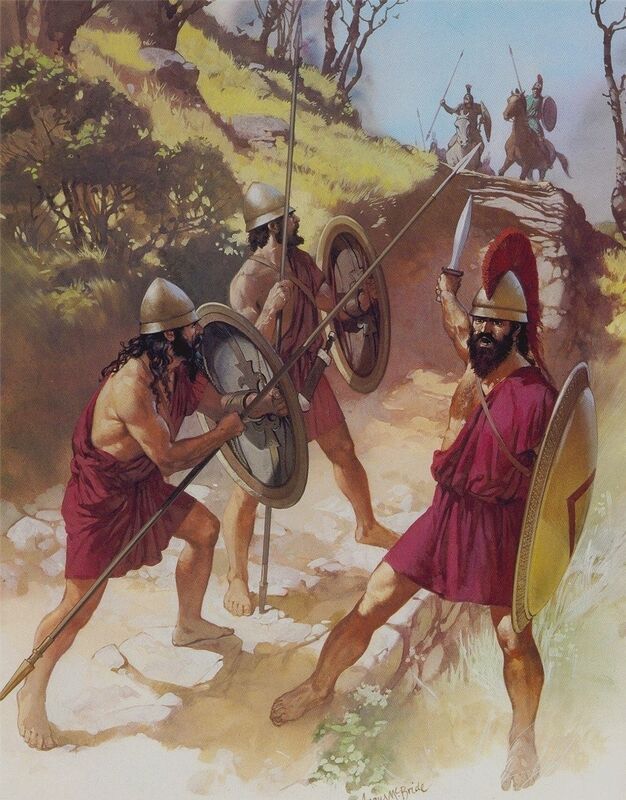 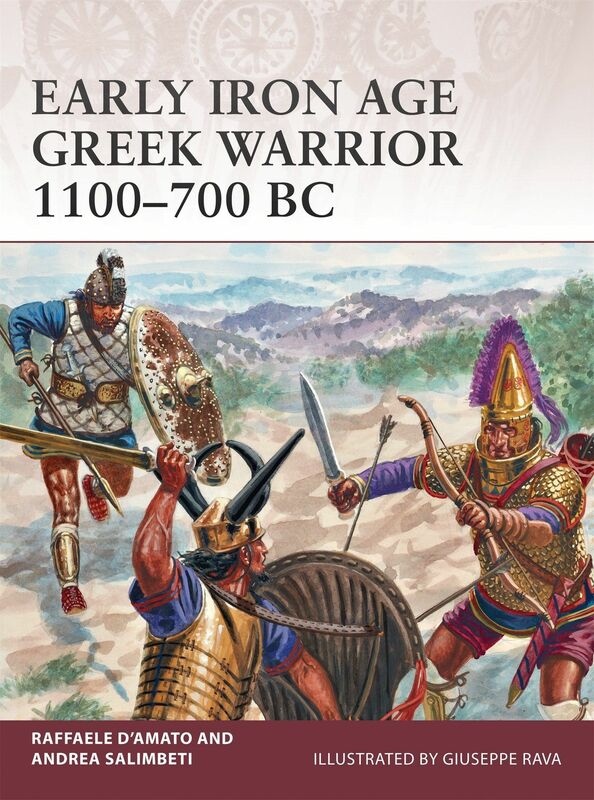 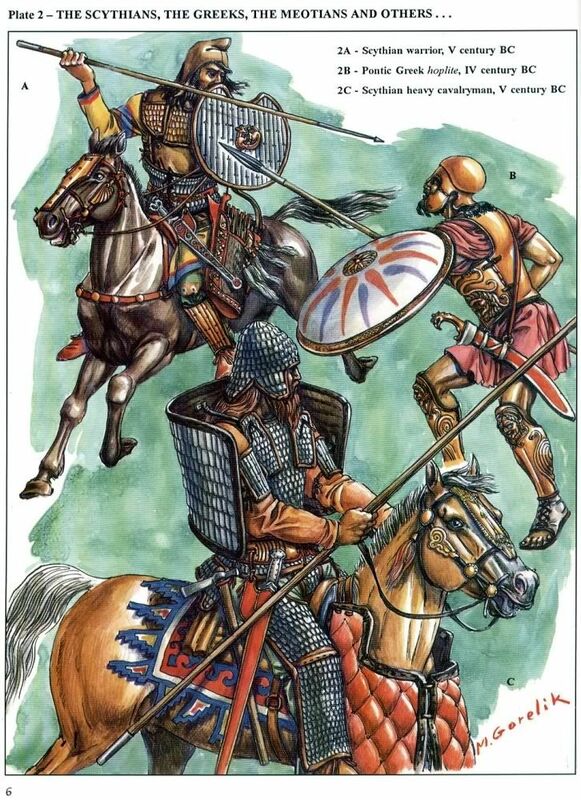 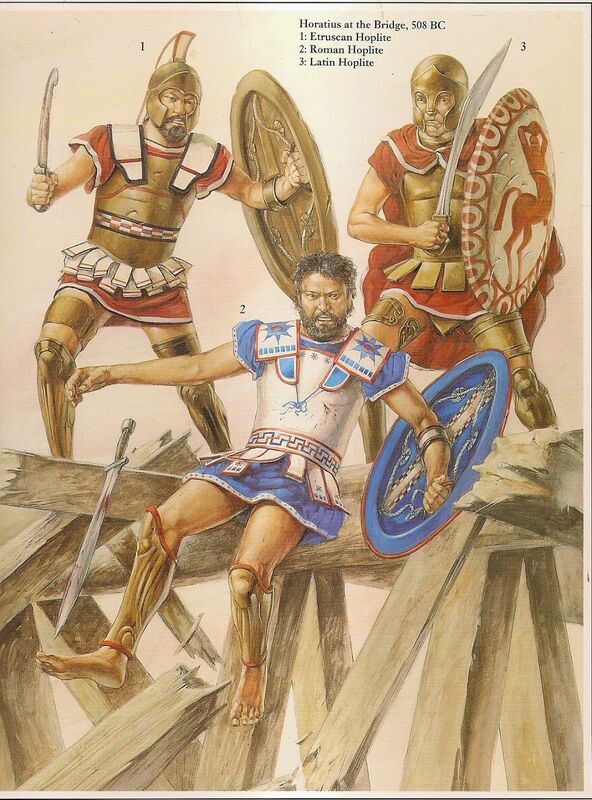 Italian warriors, some hoplites in Greek linen armour some in their distinctive Italian hill tribe armour, probably Umbrians. 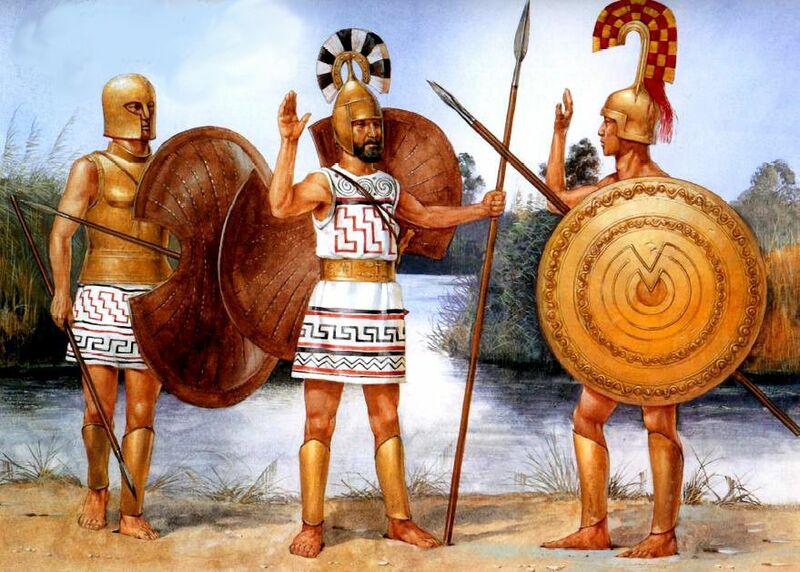 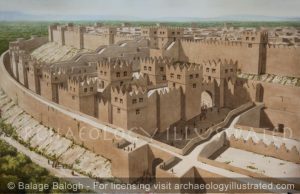 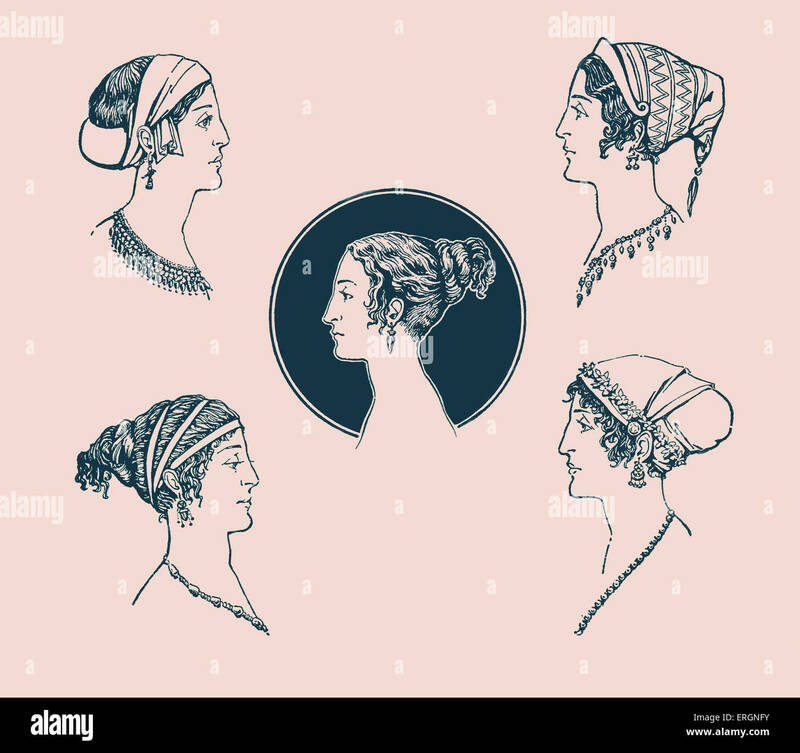 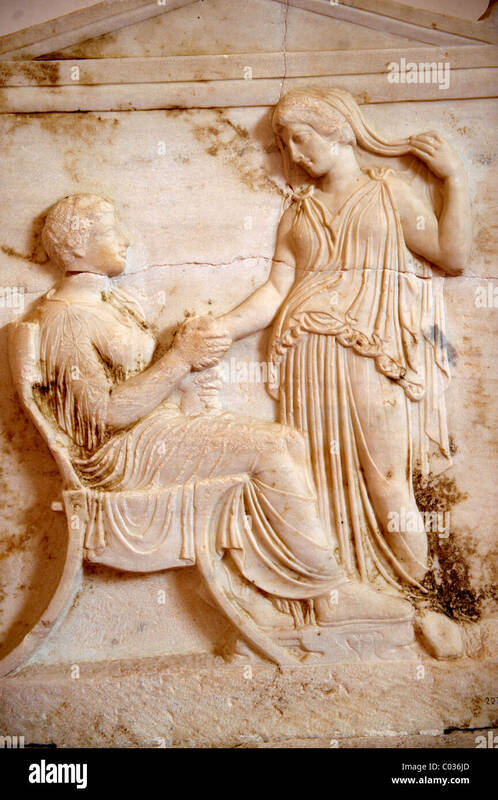 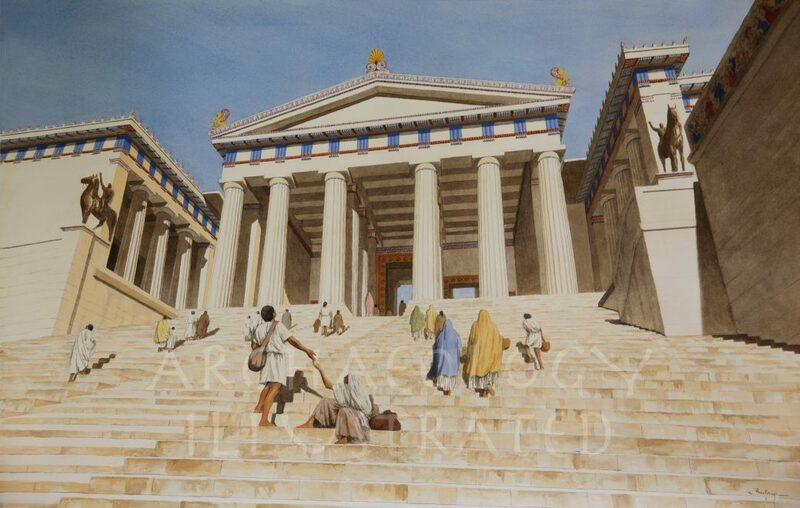 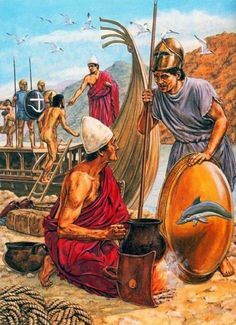 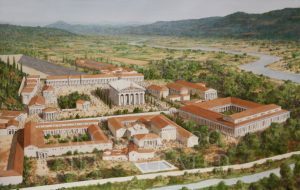 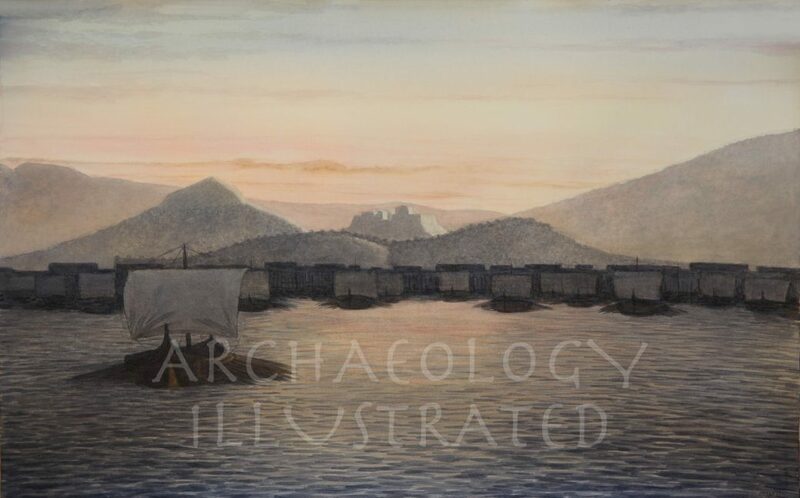 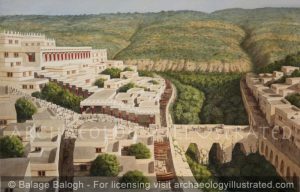 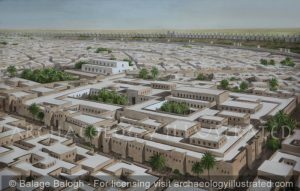 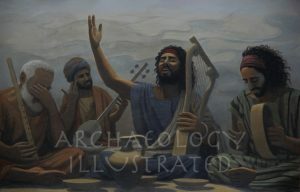 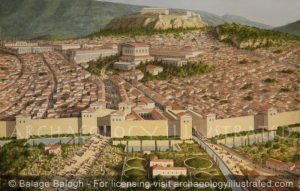 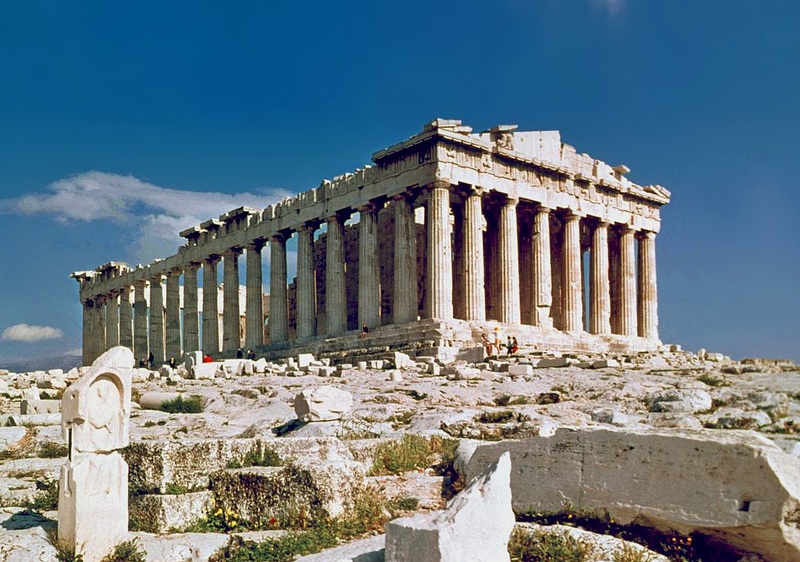 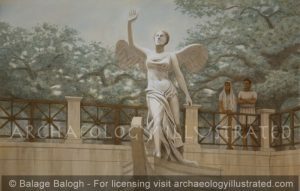 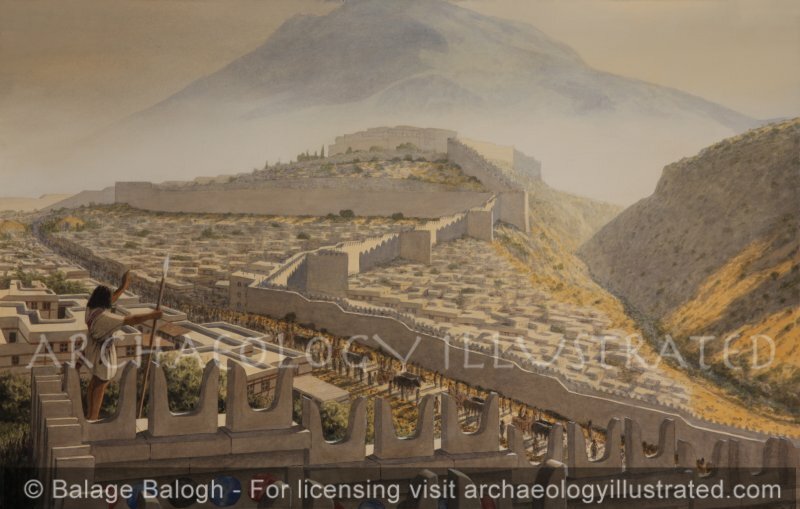 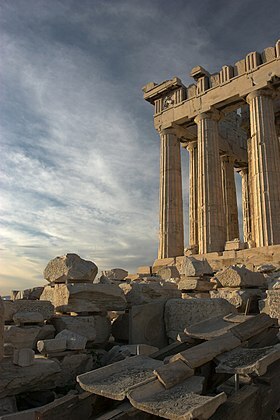 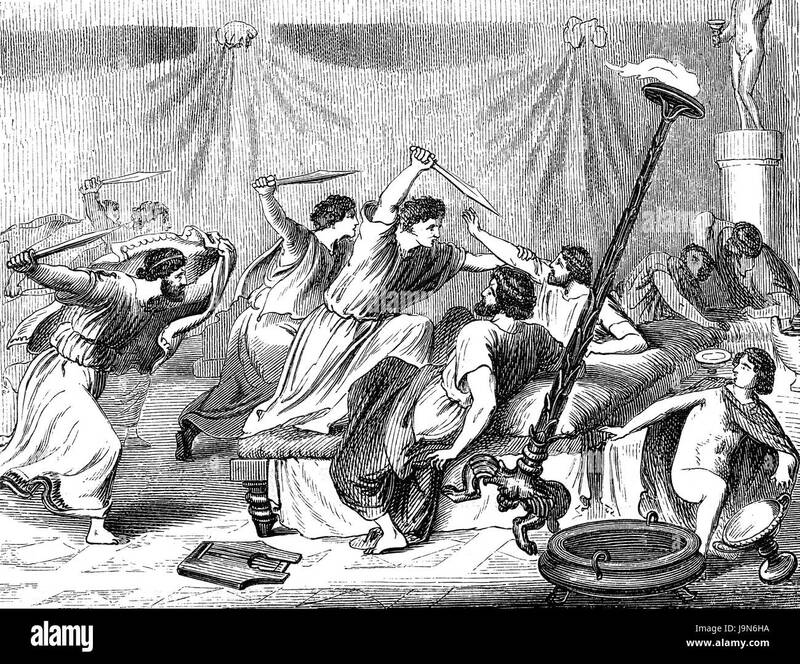 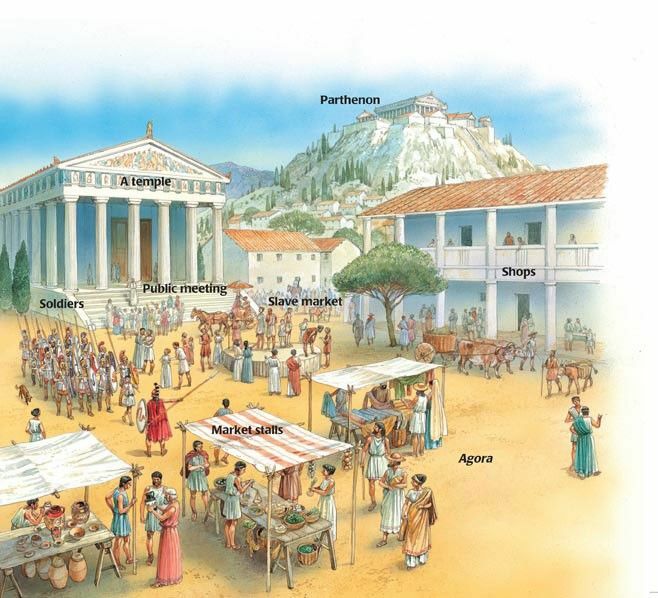 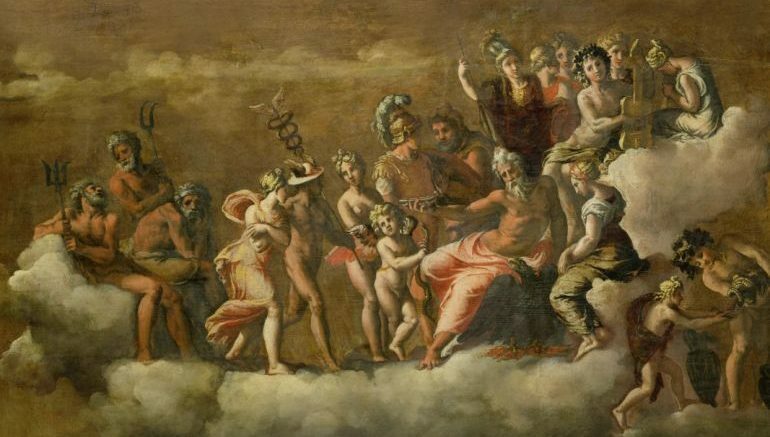 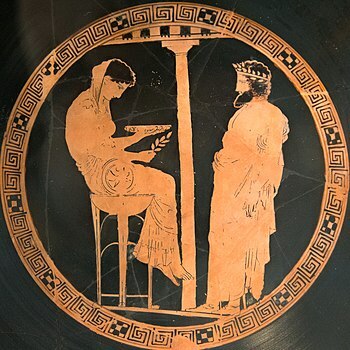 5th century B.C. 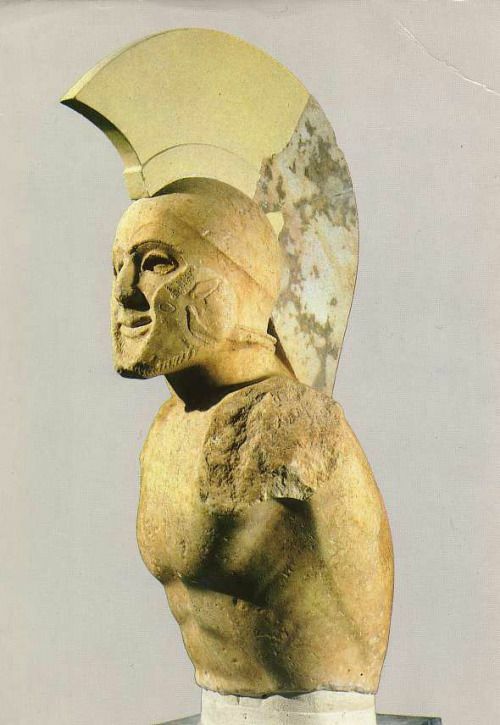 An Italic hoplite from the 5th or 4th century BC.